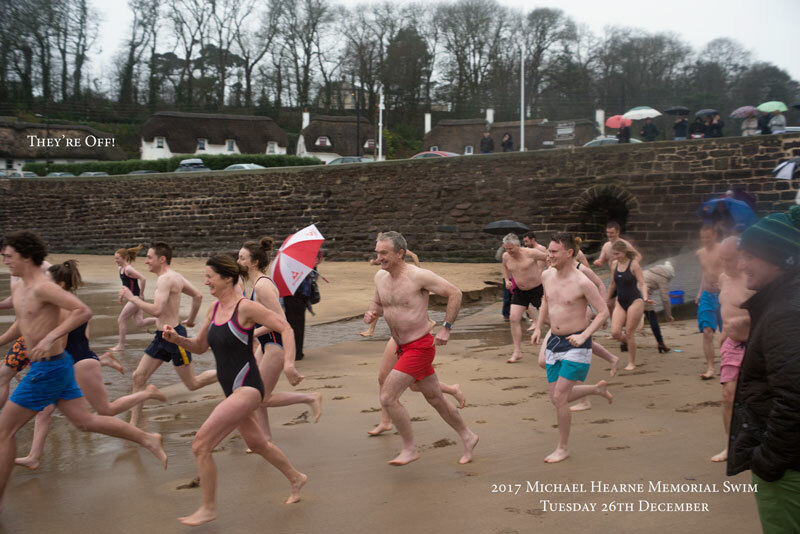 St Stephen's Day is the usual day for this, now annual swim in memory of Michael, fellow shantyman and long lost friend. 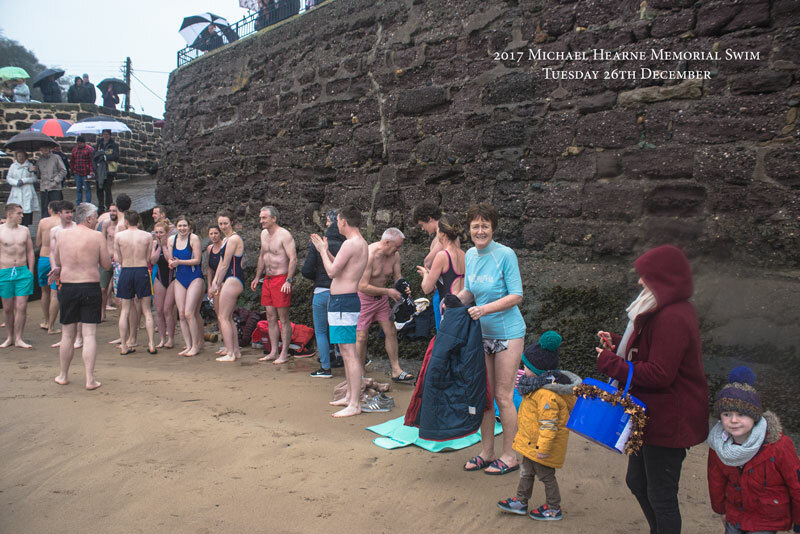 It was bad day for the swim, held this year at 2pm to miss the high tide (when the tide would be hitting the wall and making the swim awkward for swimmers and onlookers alike). 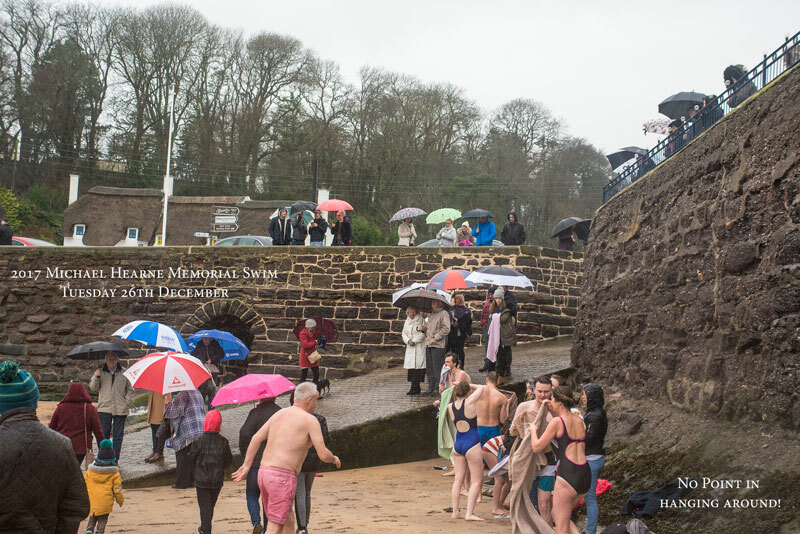 It was cold and wet and thoroughly miserable so there was no hanging around. 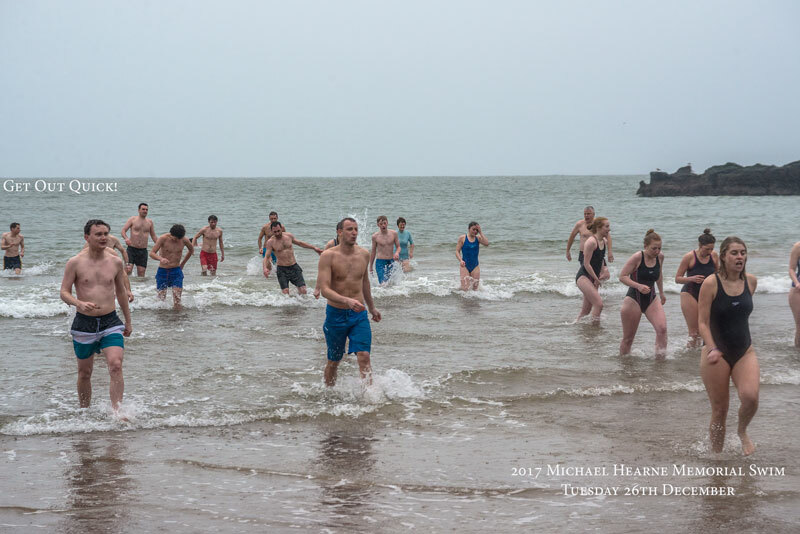 Fair play to all the swimmers who took part to remember Michael and to raise badly needed funds for cancer support. We remember too our other departed friends John Quann, Colm Long and Tony Barden who also passed away from this dreaded disease. 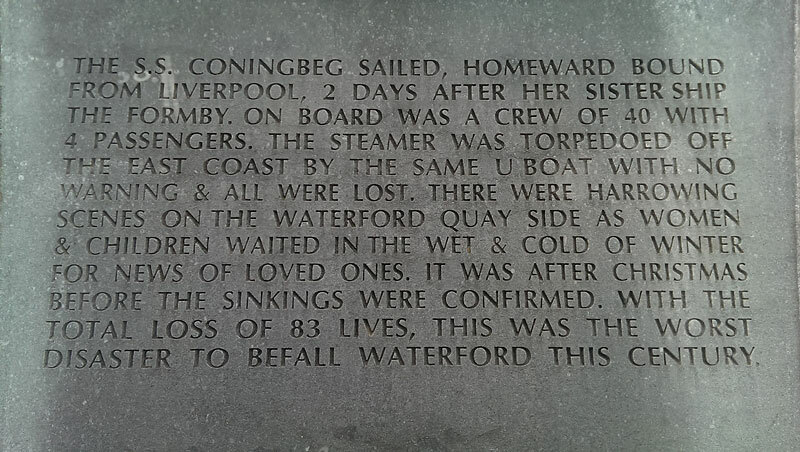 A series of events was held in Waterford City over the weekend to commemorate the loss of the sister ships, S.S. Coninbeg and S.S. Formby, that were torpedoed in the Irish Sea with the loss of many lives exactly 100 years ago. 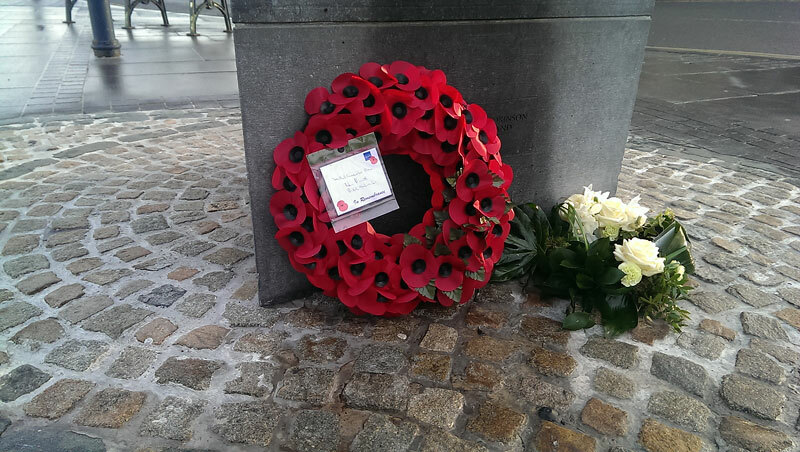 There was a wreath-laying ceremony on Saturday at the fine memorial erected in their memory close to Reginald's Tower. 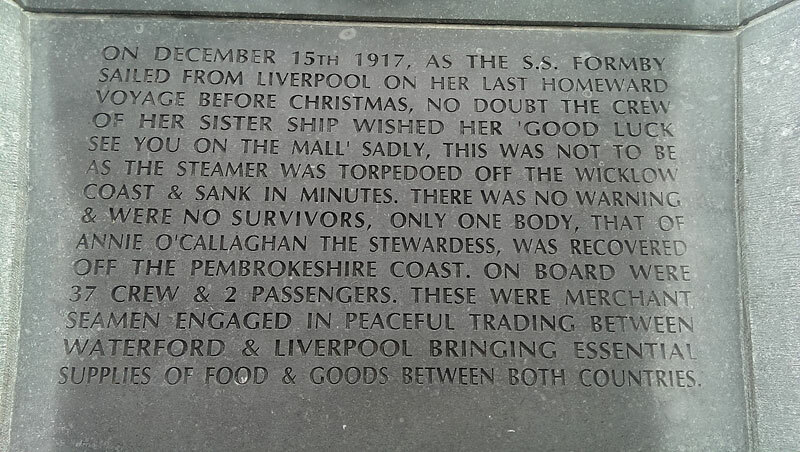 The bands played more or less on the exact spot where passengers and crew boarded those steamers as they plied the cold waters of the Irish Sea in those dark days. 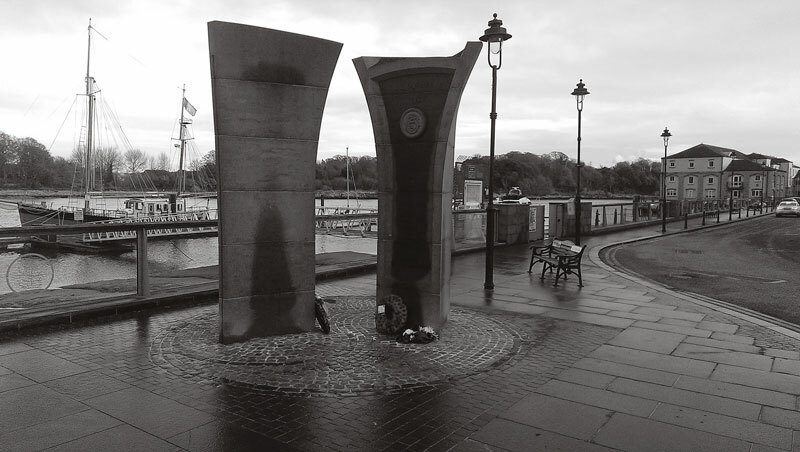 They never returned to their home port but we remember them for their resilience in the face of a brutal war and the ultimate scarifice they paid. 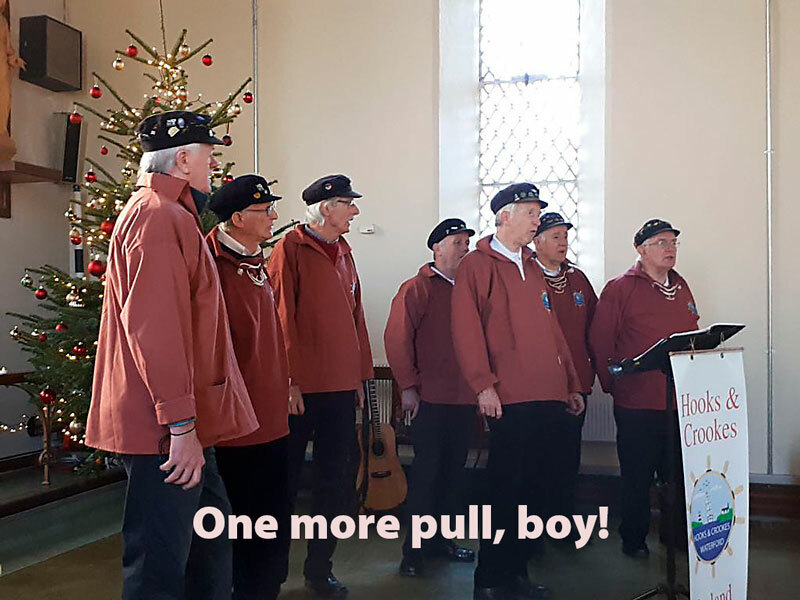 Our last gig of the year was in the deconsecrated church at St Otteran's Hospital. 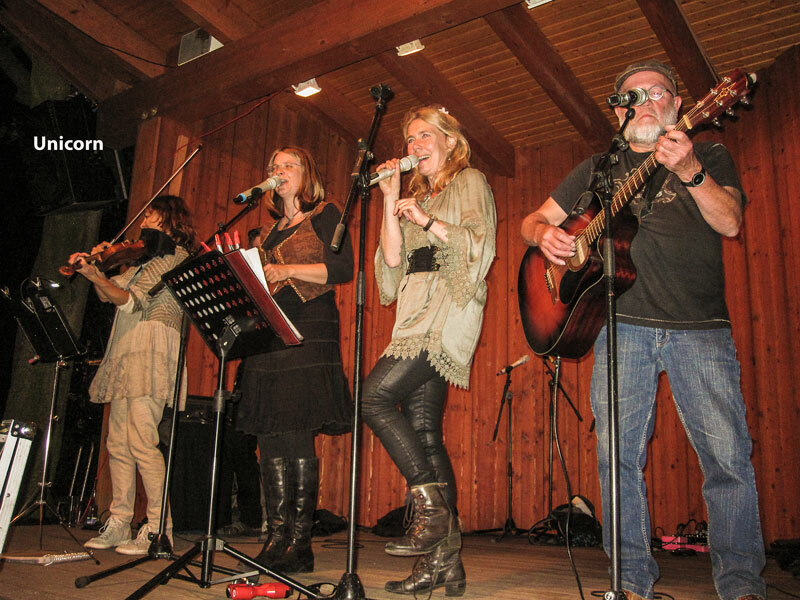 It was also our earliest gig of the year! We sang at 11 o'clock...in the morning, of all times, but it was all the better for that. 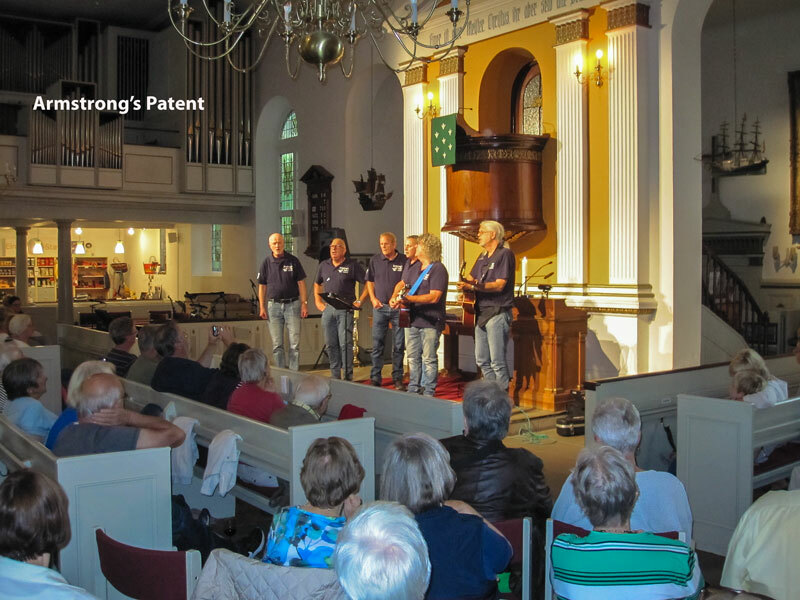 And the Church was a great venue to sing in with plenty of air to reverbate as we lashed out a few shanties, and we did a medley of Christmas songs at the end to great applause. 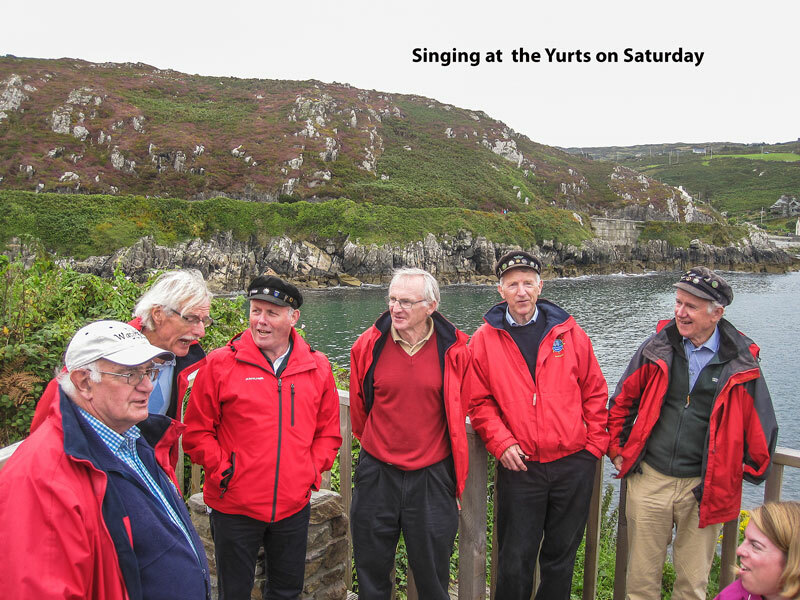 We dedicated the gig to our dearly departed friend Tony Barden who began his working career in St Otteran's. It was great too to interact with all the guests who listened intently as we sang and they even joined in for many of the numbers; David Rio even came up and played a drum perfectly on one song. Tea, cake and buns at the end finished off a great gig and another great year. Thank you Christine for inviting us! 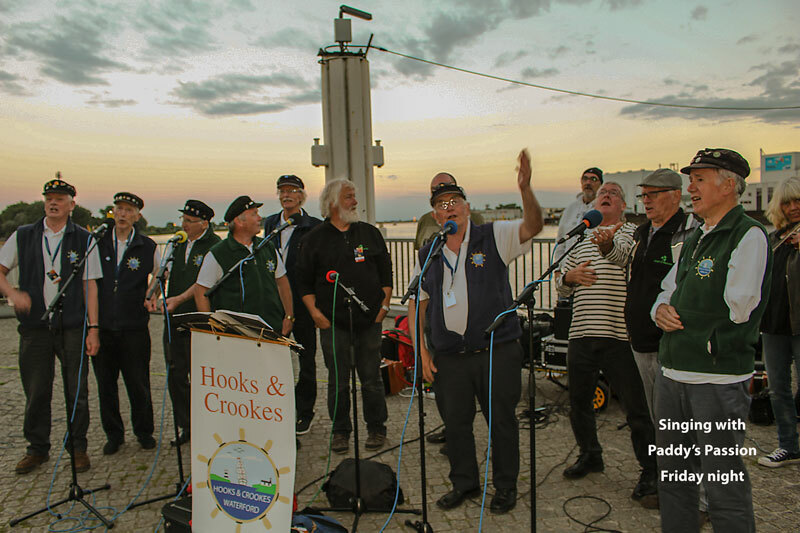 We launched the Seahorse CD in fine style at our last gig of the calendar year in the Coastguard Station on the western side of Tramore Bay, in sight of where the Seahorse itself sank with the loss of so many lives in January 1816. 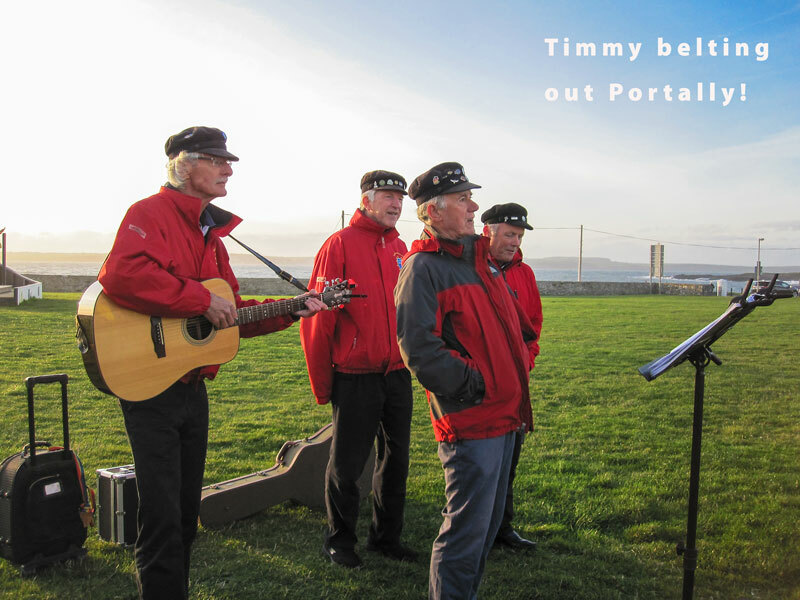 It was a bitterly cold evening but the atmosphere in the Coastguard Station was warm and relaxed as the audience enjoyed a nice mixture of readings, poems, songs and shanties. We led off the concert with our usual mix of songs, the highlight of which was Joe’s rendition of The Seahorse, his own fine composition of that terrible tragedy so many years ago. 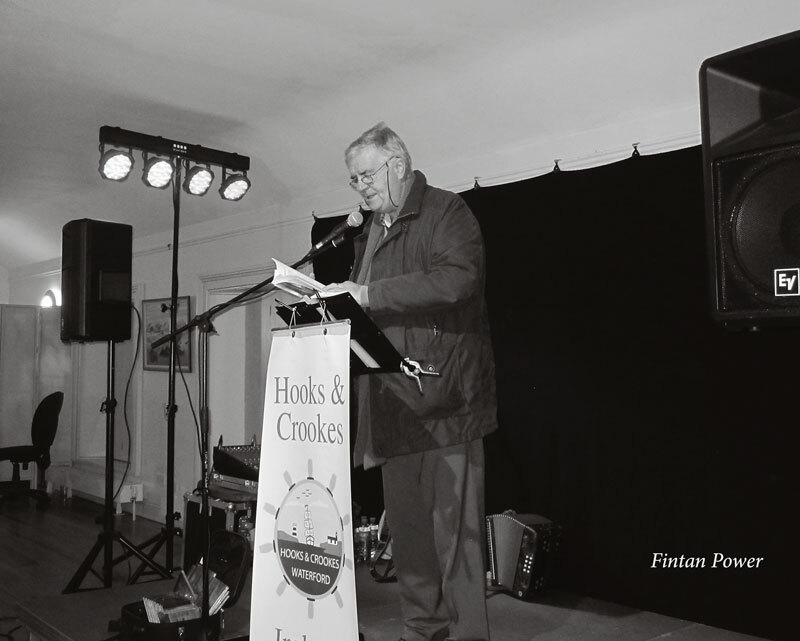 Fintan Power also added a poignant note in his poem of the loss of the Air Corps helicopter in the Tramore dunes in July 1999. 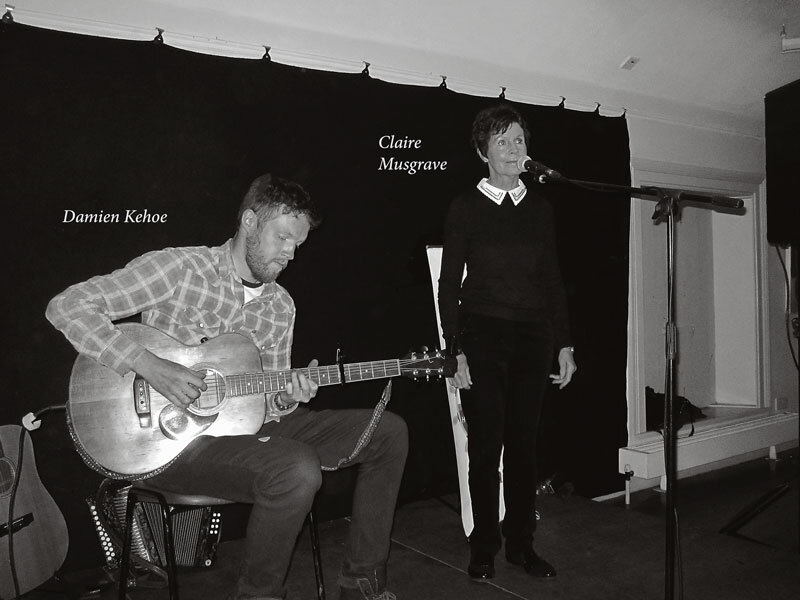 Derek Flynn read from his recently published novel set in Newfoundland and Claire Musgrave contributed some haunting songs, ably backed by Damien Kehoe. Derek was back in the second half singing songs set in Newfoundland, Fintan this time had some witty pieces on the Guilameen and ladies handbags, Damien sang a few numbers, including The Voyage, (a song John Quann, God rest him, used to sing but we’ve rarely sung it since) and he was then joined by Claire for another song or two. We were back onstage to finish off and, by special request, the Bilberry Goat got an airing. We finished off with The Seahorse again to much acclaim. 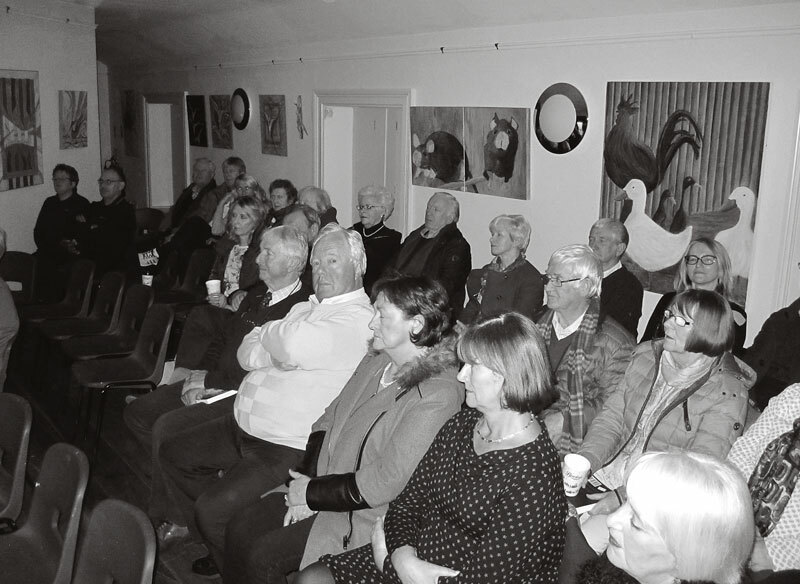 Most of the audience, who seemed to really enjoy the night, joined us then in the Ritz Bar nearby where we had a long session and a bit of craic. 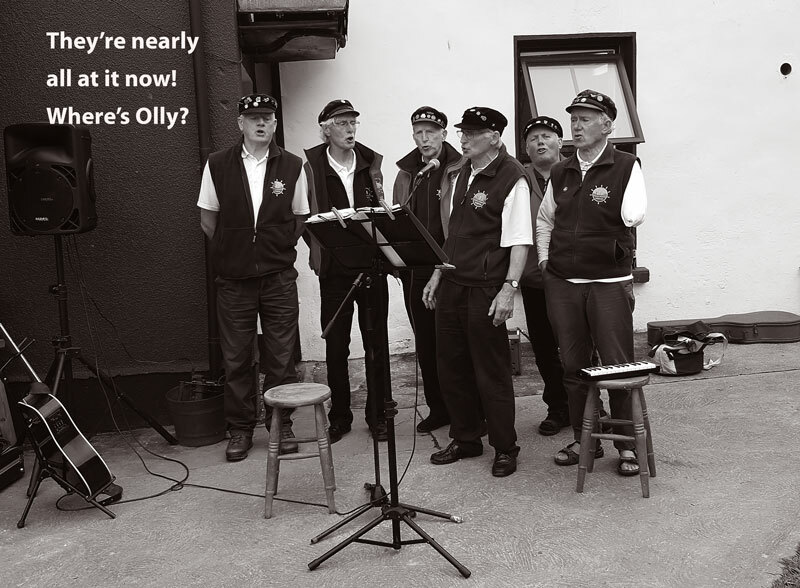 Thanks are due to all our performers and to Mick Cullen from the Coastguard Station for facilitating us on the night and also to Frank O'Reilly from Tramore Community Radio and the Coastguard Station. Four of us left the Deise at 5.45 am Friday and off to Dublin airport to catch our Ryanair to Reus in Spain. A full flight with football teams and school outings! Noisy and boisterous!!! With a good tail wind we landed 30 minutes ahead of schedule and our transport was on hand immediately to take us to Sitges. 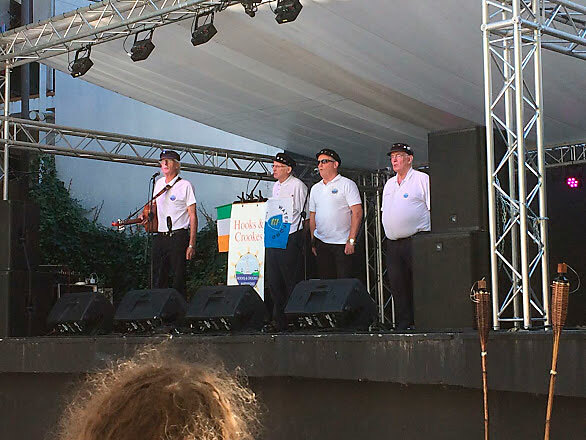 We were joined by a couple from Boyle, Denise and Chris: Denise sings in the Church choir and they were performing in Sitges for the weekend. 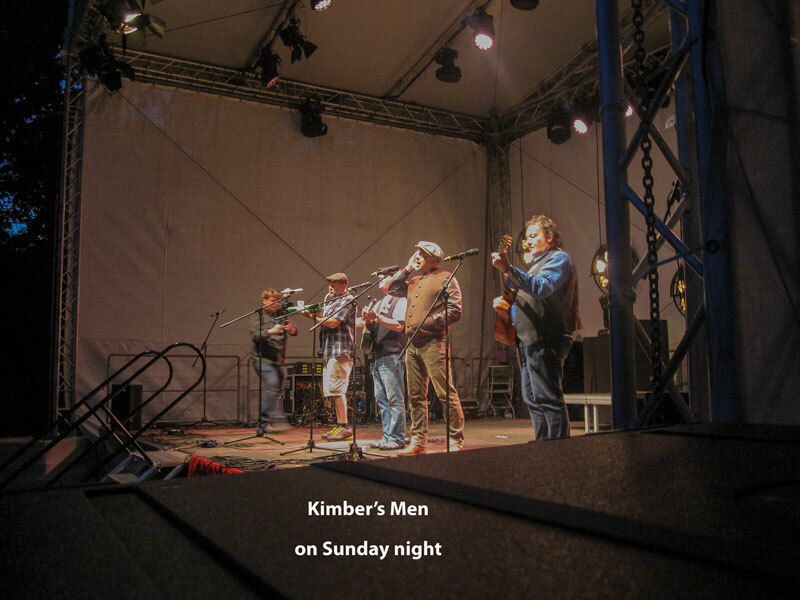 Our first gig was at 4pm at the Hub (on the Main stage) and this went down very well with our usual mix of shanties and sea song. We met up with Michael and Christine Maddock from Waterford and they invited us down to the marina to have a glass of champs on their boat. 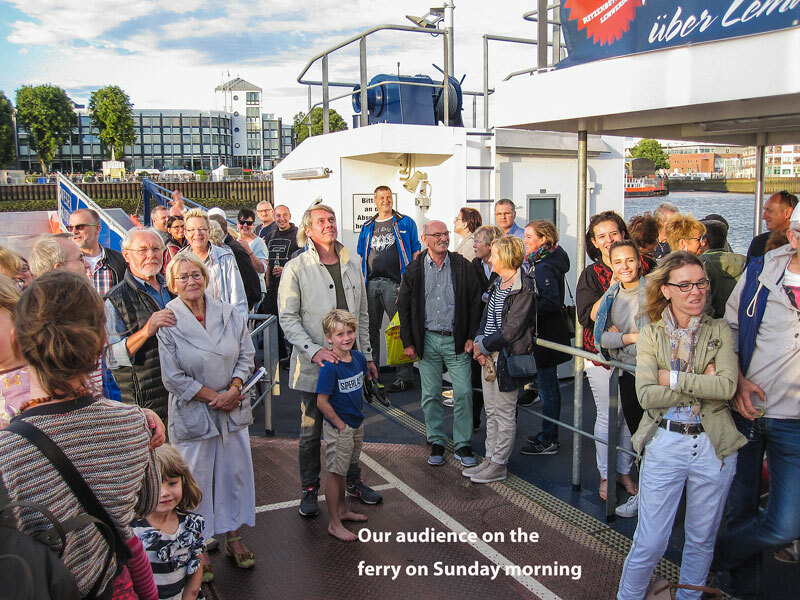 As it is a distance we took the bus and sang a song for the waiting passengers..all good fun witha very pleasant glass of Cava and fingers snacks to beat the band and beer on board Michael and Christine’s boat. 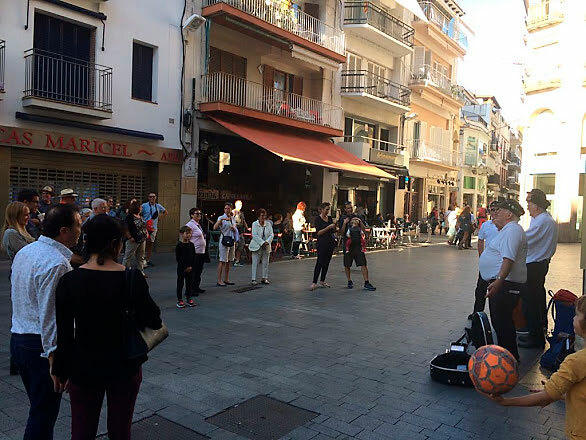 We then set off back to our Hotel “El Cid” but did a few “pop ups” or flash mob performances en route which went down a bomb and we collected some groupies along the way. 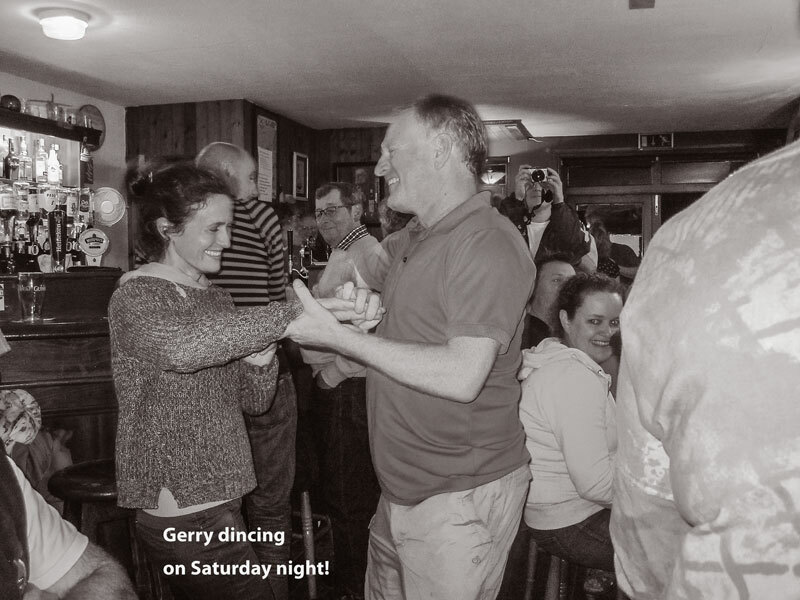 Great craic. We went back to the Hub to get some grub, very nice tapas and litres of beer while listening to No Crows: fab sound and the various performances and then we started up our selves until the Nightime Noise Police told us to stop and out on the street we were tossed with plastic glasses…Back to the Hotel and into the bar to be Cadjoled into singing a song or two…Great bunch of people from Dublin, South Armagh and Boyle who were chaperoning the very large groups of kids from Ceoltas over to perform..50 shades went down a treat as performed by Shay and of course a few other songs as well !! “twenty past” sums up the finishing time!! 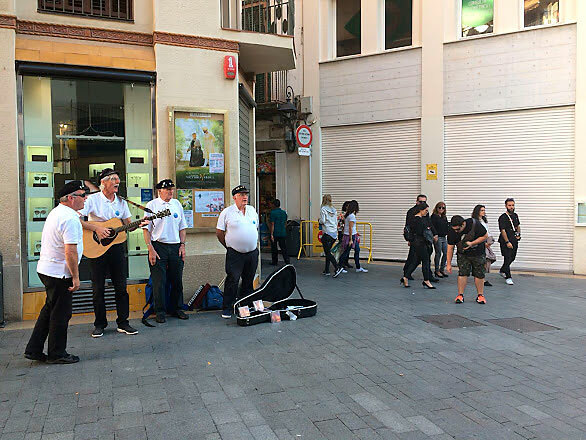 A ramble round Sitges on Saturday morning after a superb buffet breakfast and a song or two in the process and we were ready for the next gig at El Picnic on the promenade. 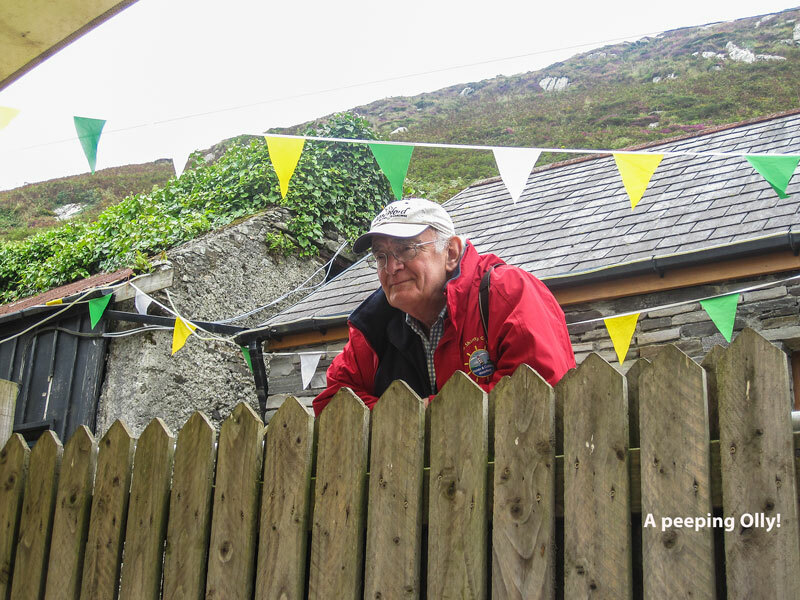 A lovely location with no amplification unfortunately, but we struggled through and made a mark, ably supported by Christine and Michael and then Orla, John and Jean popped along to lend support and save Joe’s cap from a fate worse than loneliness! We did a pop or two along our way and ended up in the hub after a meal on the promenade front. 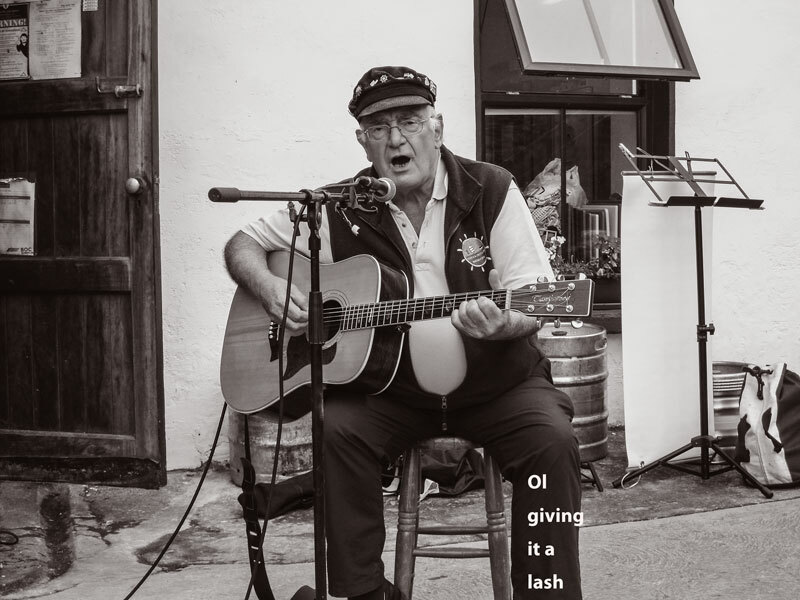 Steak was lovely and at the Hub we were entertained by brilliant musicians and the performance by Donal O’Connor was a treat with extra special songs which were written by himself…The Sperm Song has to be worthy of capture !!! Back to the Hotel and despite serious protest (!!!!) we were cadjoled into singing again until the wee hours..what a session! 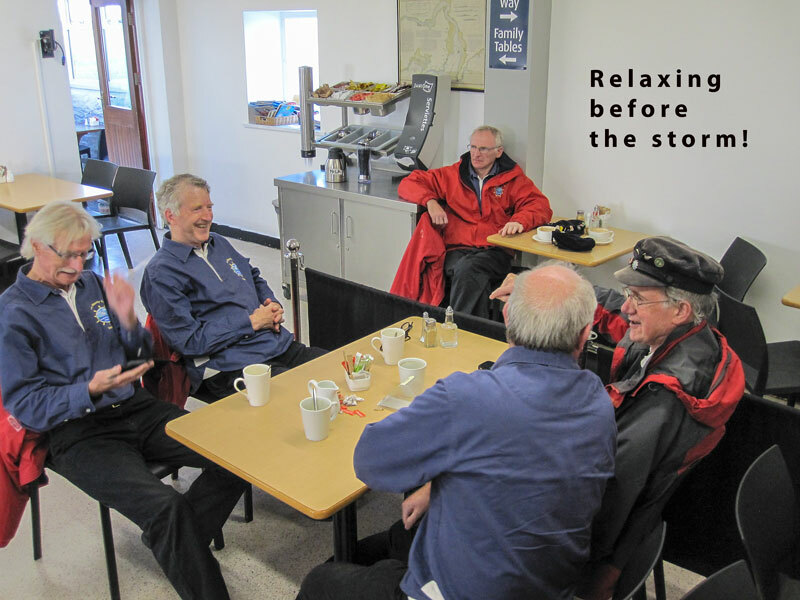 The clocks turning back an hour gave us free reign to carry on for a wee while! Twenty past again fits the bill! Our transport collected us near the hotel and got us to Barcelona Airport for a full Ryanair flight home which hit a head wind resulting in us being 30 mins late getting back. We had a fast journey down from Dublin and home safe and sound before 2 am. Another great Hooks and Crookes weekend adventure for 2017 comes to a close with new friends and potential for some future gigs and gatherings. 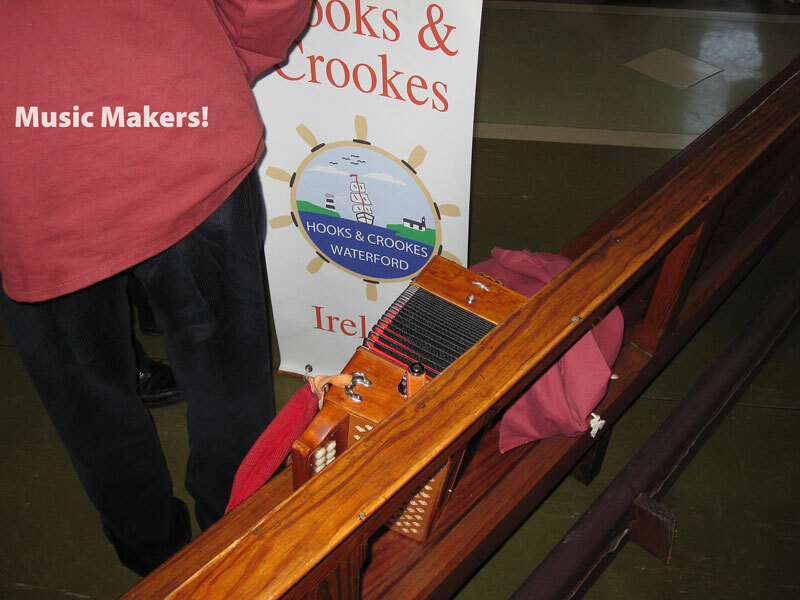 Thank you and well done to Caroline Wynne and Brian Coad for organizing and the invitation to us to attend…. It would encourage you to practice more!! 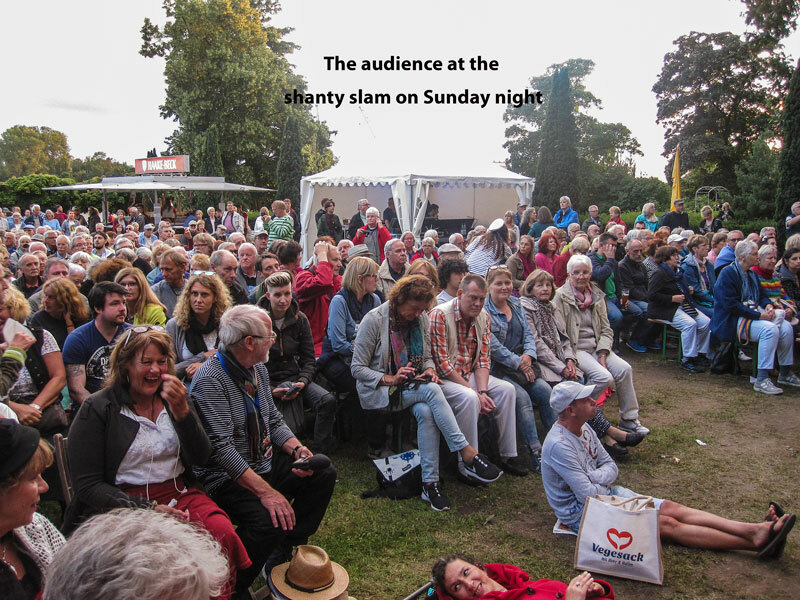 Culture Night is now an annual event in Ireland which takes place in September and where cultural centres around the country are open free to the public and a range of activities are organised. 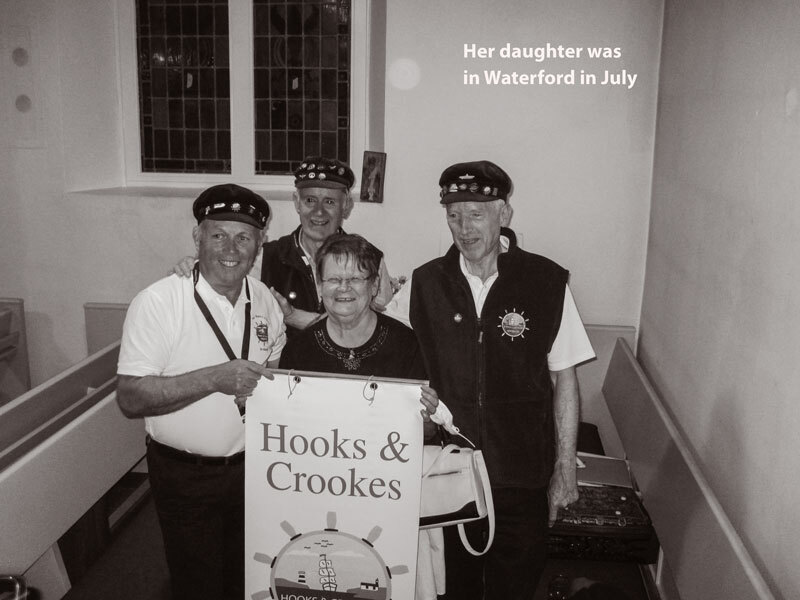 Three of the crew were up before 6am on Friday morning to make sure they got to Hook Head on time to promote CultureNight on on the RTE radio programme Morning Ireland and specifically the event that was being hosted at Hook Head lighthouse later that evening. 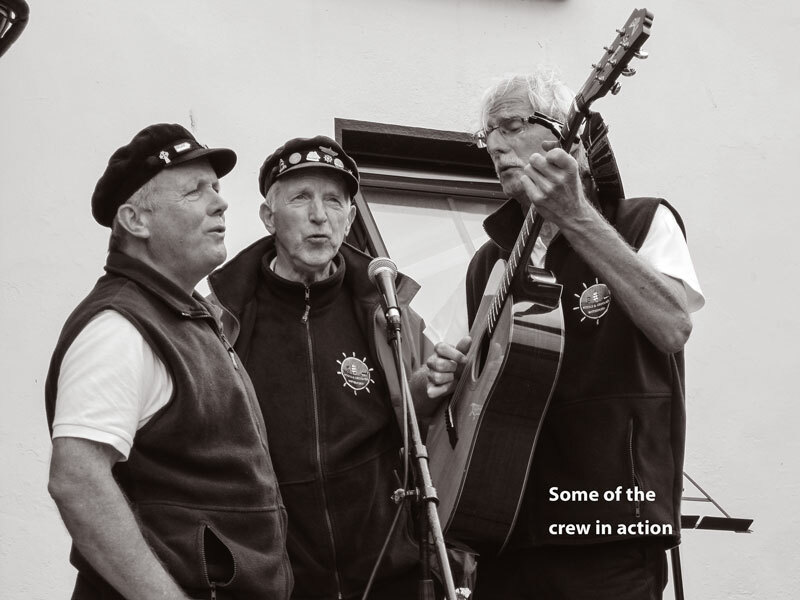 It was a dreadful morning with strong winds and heavy rain but Joe came across loud and clear over the airwaves to inform the nation what shanties are and he also aired a few verses of Seahorse, a song he wrote himself and the title of our latest CD. 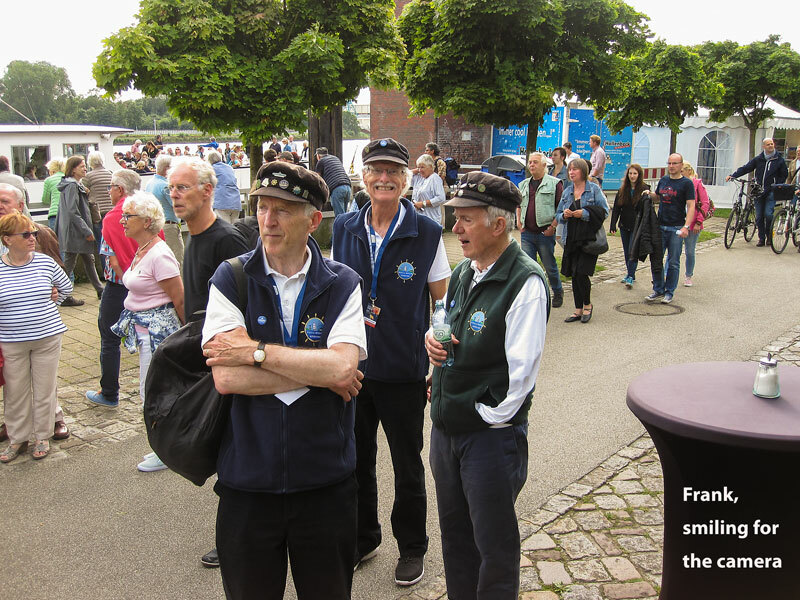 He was ably assisted in the morning by Frank and Shay and they were well looked after by all the crew at the Hook. Thanks too to Cian McCormack, the RTE presenter, for the fine job he did despite the weather. 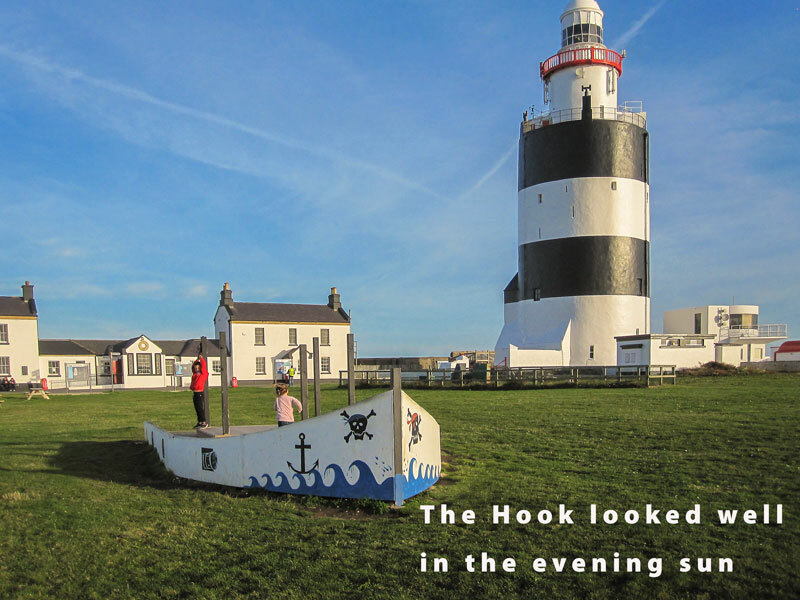 We were all back at the Hook later that evening when the weather was so much better. 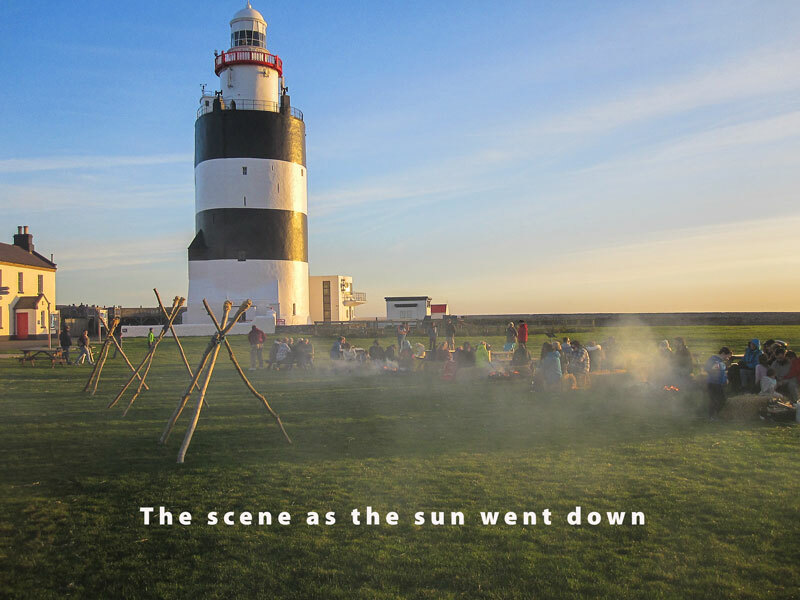 It was a bit windy, but sure there's always a wind blowing at the Hook; otherwise it was fine and sunny and it was a lovely evening to sing a few shanties for the audience gathered around the blazing barbeque fires nestled among the straw bales. The wind made sure that there was no difficulty keeping those fires burning! We did two performances and then we retired out of the wind and into the Lighthouse centre where we downed ribs and calcannon washed down with lovely local pale ale. 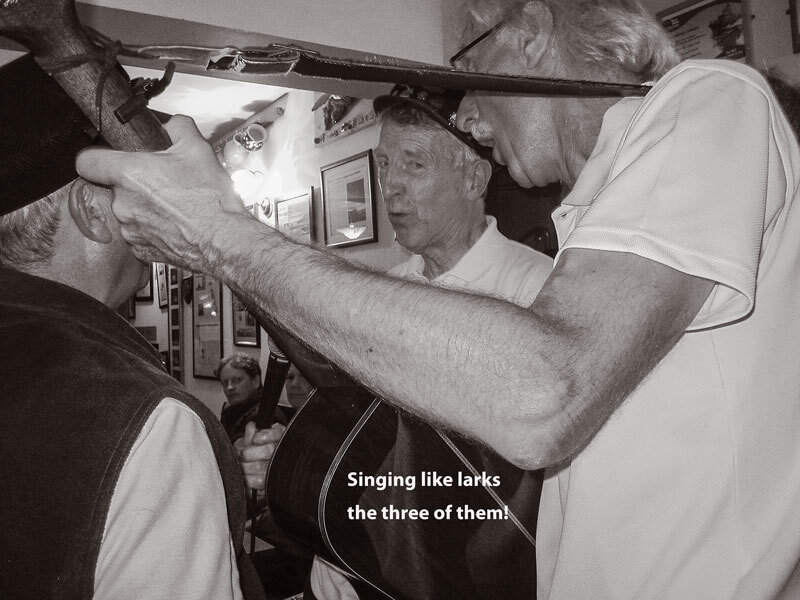 The pale ale was so nice that we couldn't resist singing a few more songs and sure they went down a treat too. 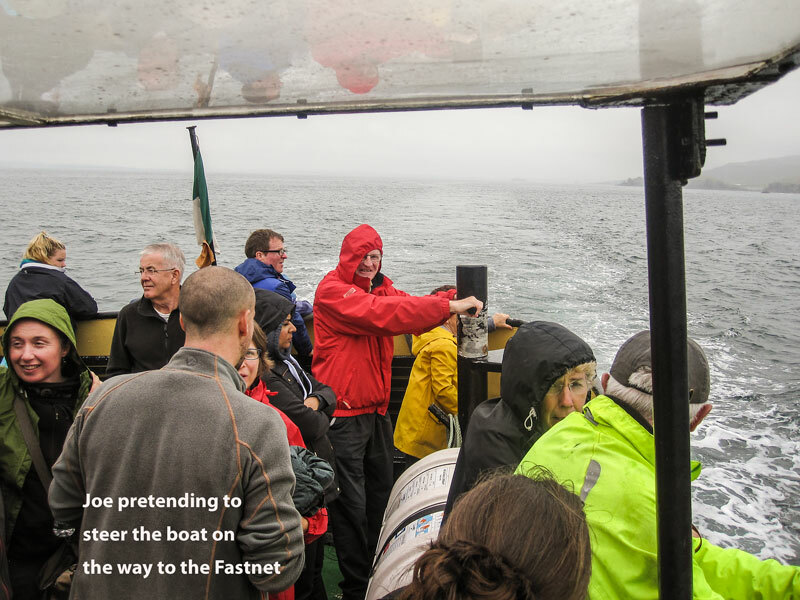 It was a pity to leave but we had to catch the last ferry from Ballyhack to Passage at 10pm. 'Twas a lovely evening no doubt. 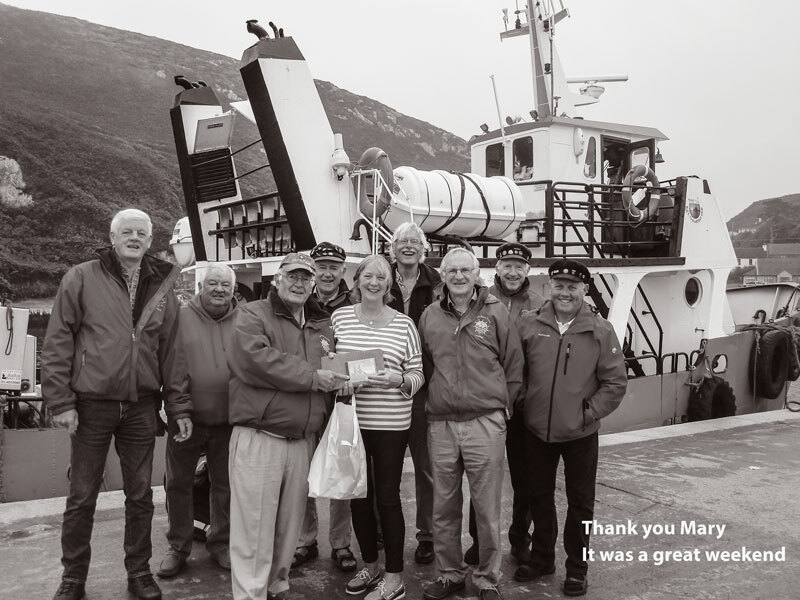 Mary O'Driscoll kindly invited us, and the Molgoggers from Cobh, to Cape Clear for the weekend to assist with her fund-raising efforts on behalf of the RNLI in Baltimore. 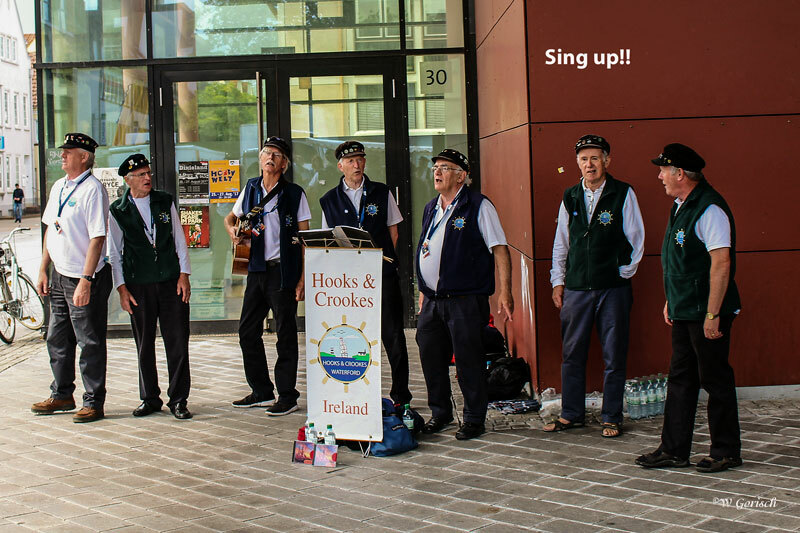 We left Waterford at around 11am on Friday and arrived in Baltimore just in time for a pint in Bush's before we took the ferry at 5pm but not before we sang a song for the revellers relaxing outside in view of the harbour. 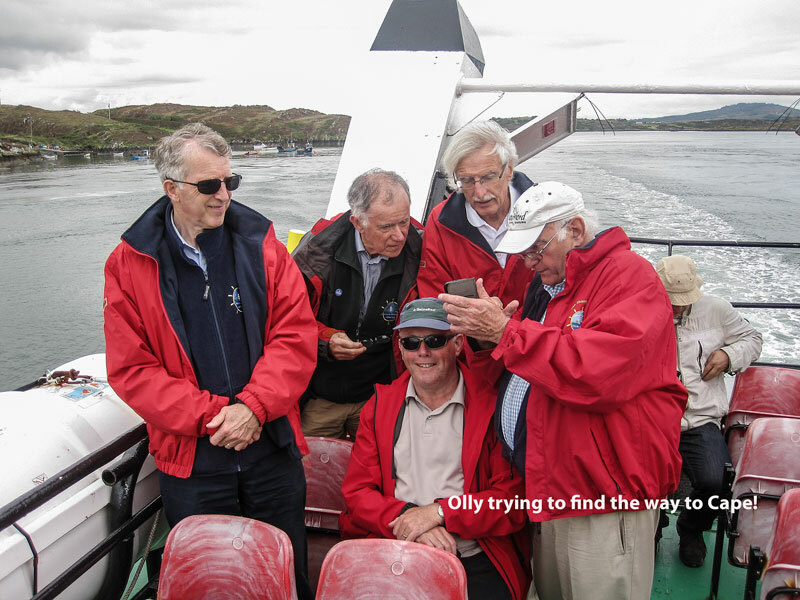 The sea journey to Cape brought back memories of our last visit three years ago in the company of our departed colleague Colm Long. 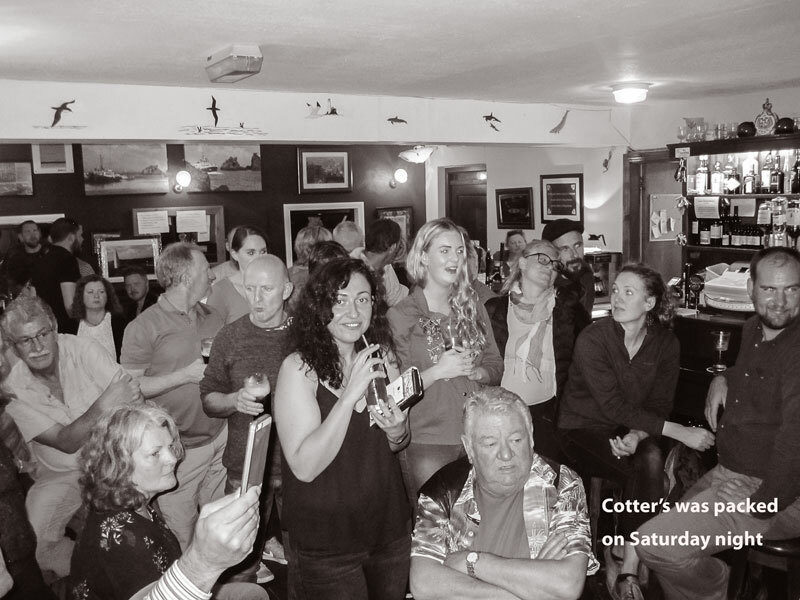 We had a relaxing night in Cotter's Bar (one of two on the Island), where we sang a few songs and enjoyed the chat. 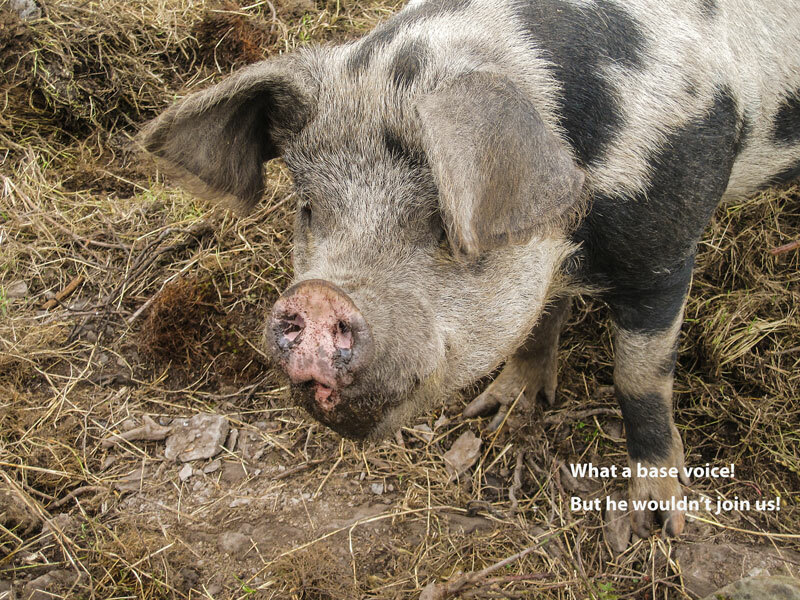 On Saturday we did a mini tour of the Island, had a look at the Tamwort pigs, drank coffee and sang in the small café at the top of the hill. 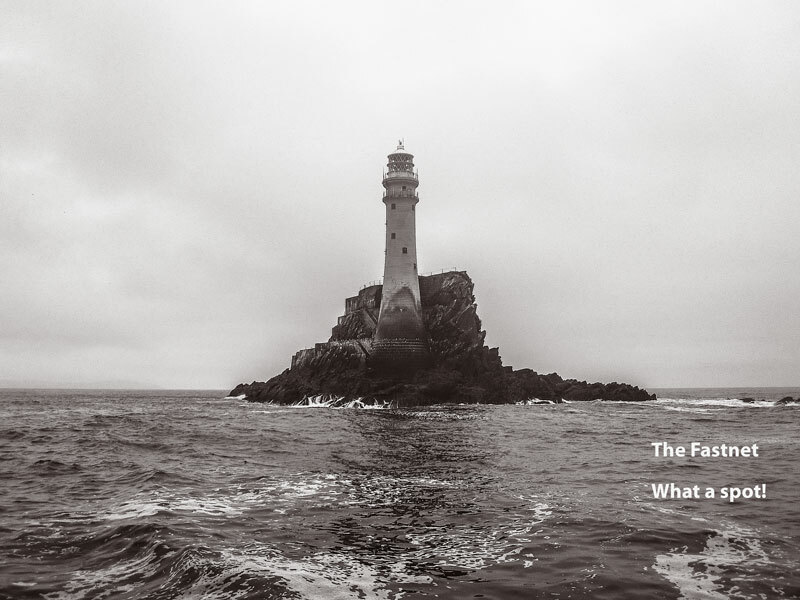 In the afternoon, we took to the high seas and went out on a boat trip to see the Fastnet Rock. It was fine but misty; nevertheless it was a memorable visit all the same. We saw rafts of Manx Shearwaters, Gannets, Guillemots, Fulmars but just one Storm Petrel on the way. 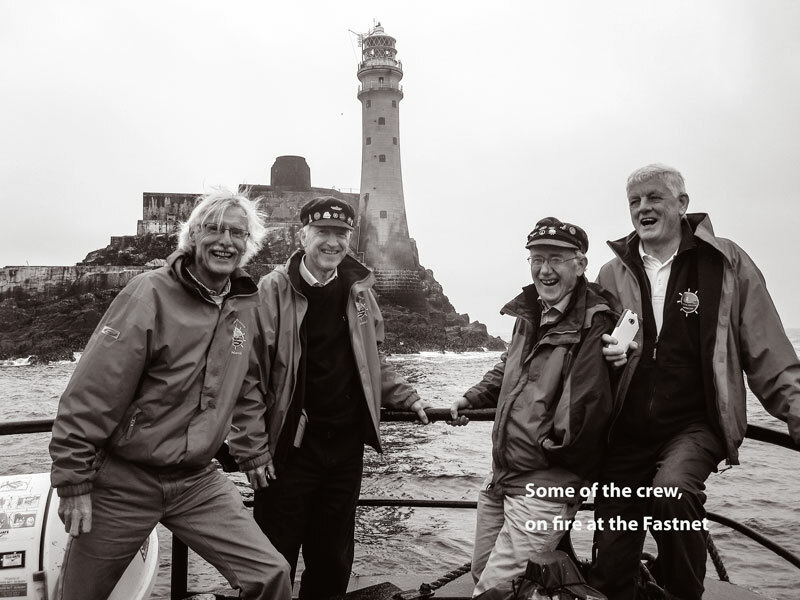 The highlight of course was the Fastnet itself. It's hard to credit that at 45 metres high, it was once topped by a wave which broke the light. High seas indeed. 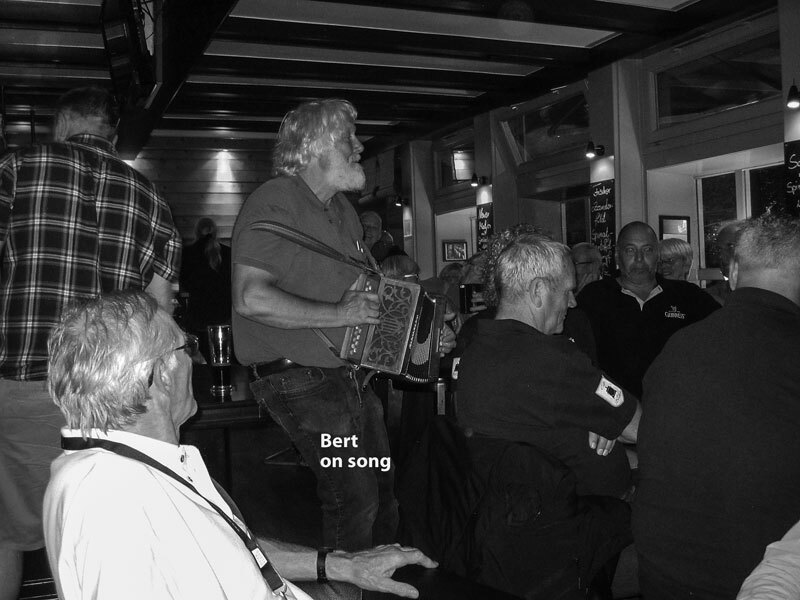 When we returned from our sea journey we went to the upper bar on the island, where we sang more shanties, sea songs and ballads and where us thirsty shantymen had a few pints and a sumptuous meal. 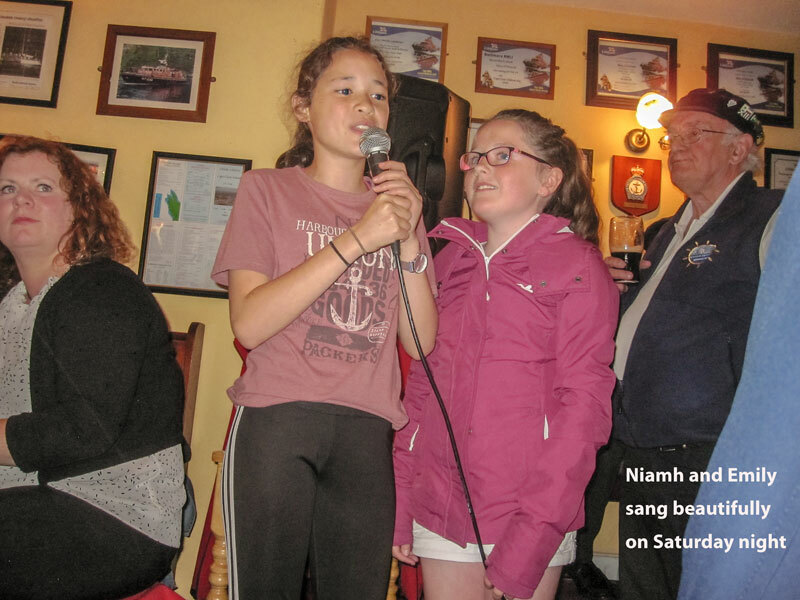 We were in action later on that evening, this time back in Cotter's Bar down near the pier and that was a mighty night which lingered well into the dark hours with several singers, young and old, contributing to a fantastic night of music, song and laughter. 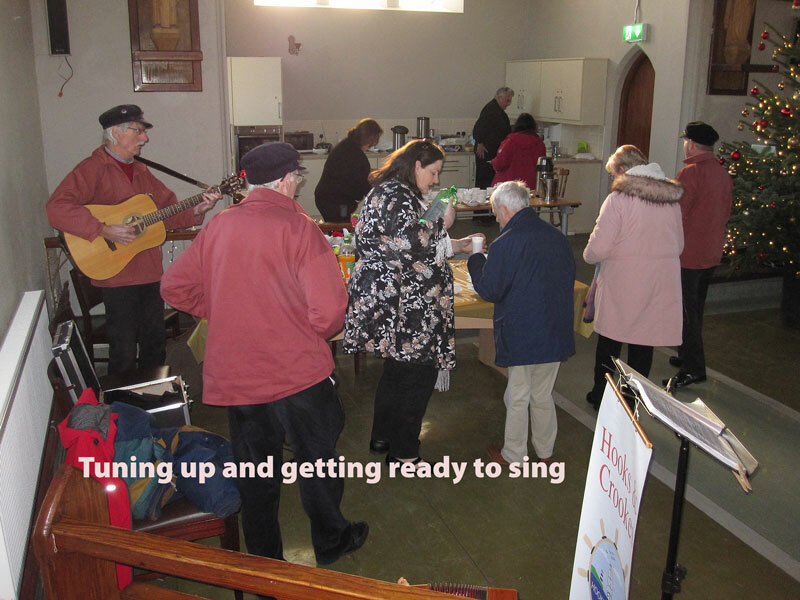 Sore heads were quickly forgotten on Sunday morning as we were up bright and early for mass at 10 and where we sang not one but five songs and where we got not one but two rounds of applause. 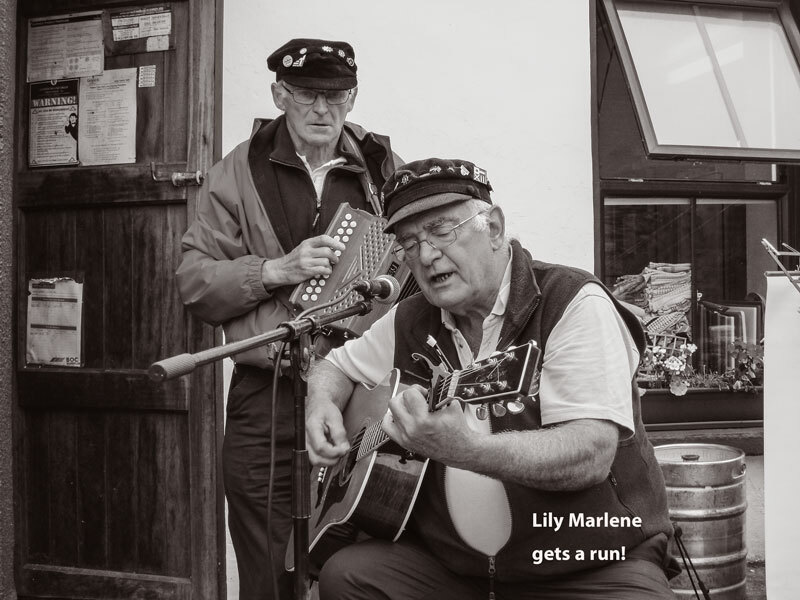 The two Marys (thank you to you both) then cooked up a mighty breakfast, after which we went off on a walk, back to the café up the hill for more coffee and where we (eventually) managed to rattle out Fiddler's Green ('tis ages since we sang that). 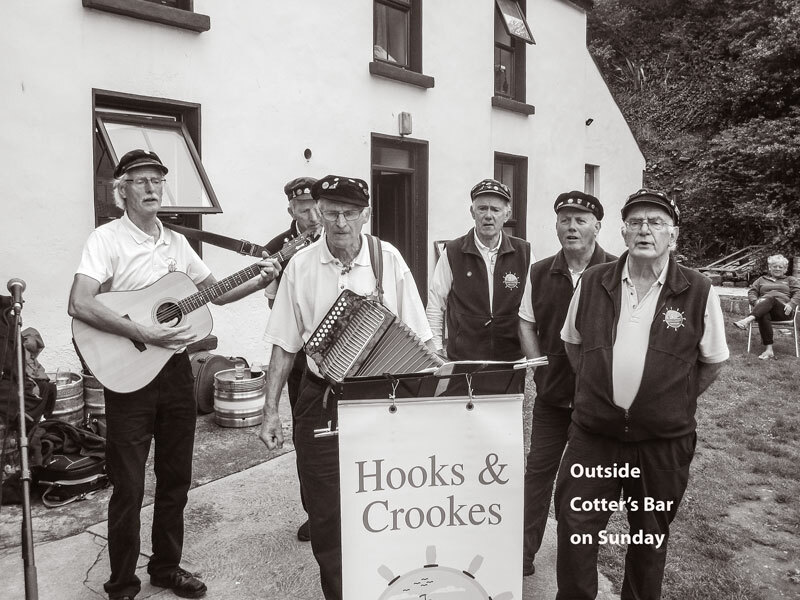 The main event of the weekend was in the afternoon in and outside Cotter's Bar where there was some superb singing of every genre and by all ages, punctuated by a raffle where there were several prizes big and small (one lucky crew member won one of each!!). 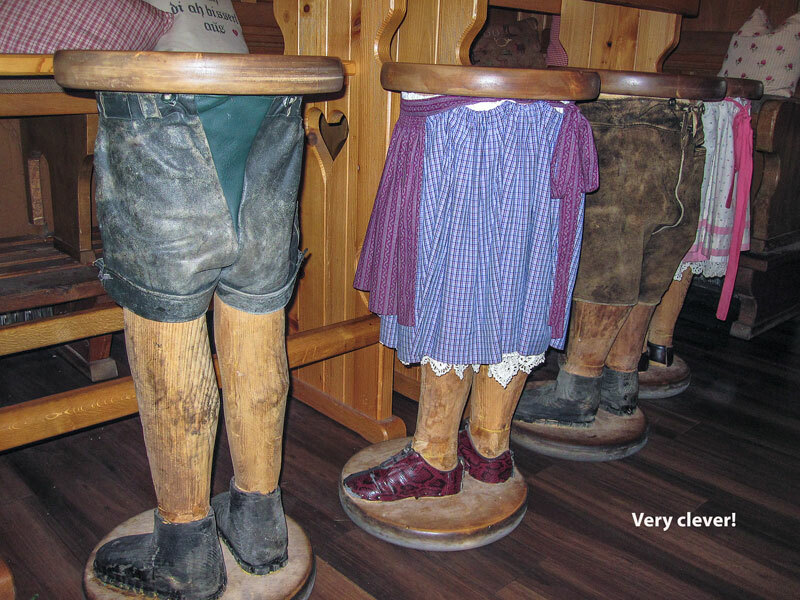 Sunday night was much quieter, but enjoyable all the same. 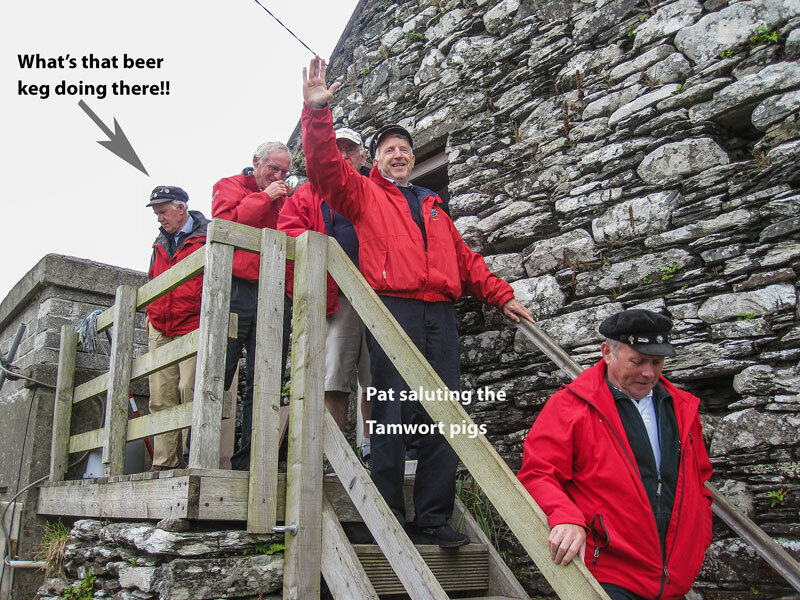 They even had large bottles of stout, the only drink for the Waterford shantyman. It was another early start on Monday morning, to catch the 9am ferry to Baltimore and the Jolly Roger, where we had a great full Irish breakfast. Then it was home. 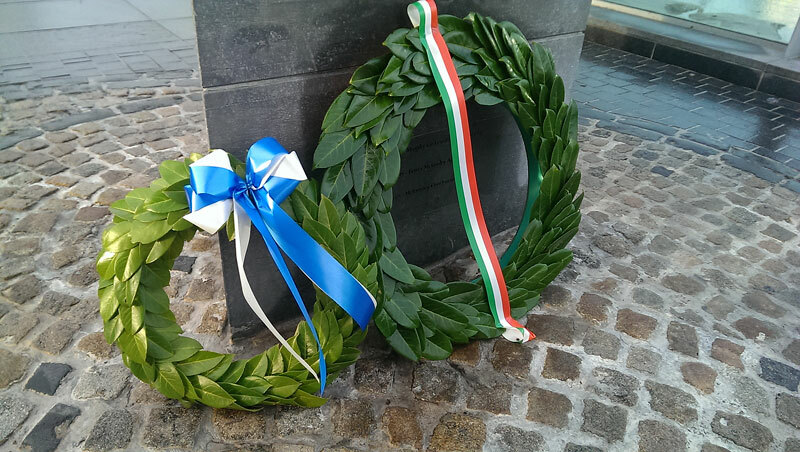 Home to the Déise. It was a great weekend. 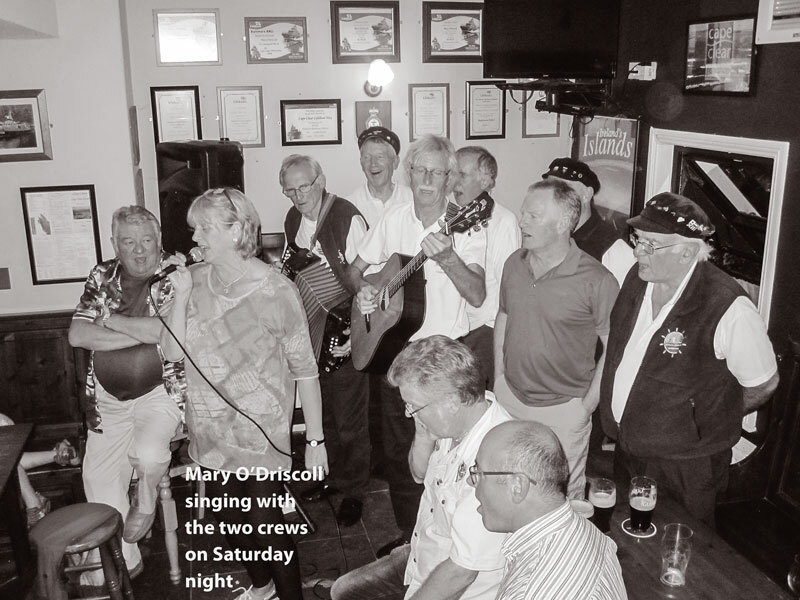 Thank you Mary O'Driscoll, Cape Clear and all the lovely people we met there. We'll be back! Up the Déise is right! 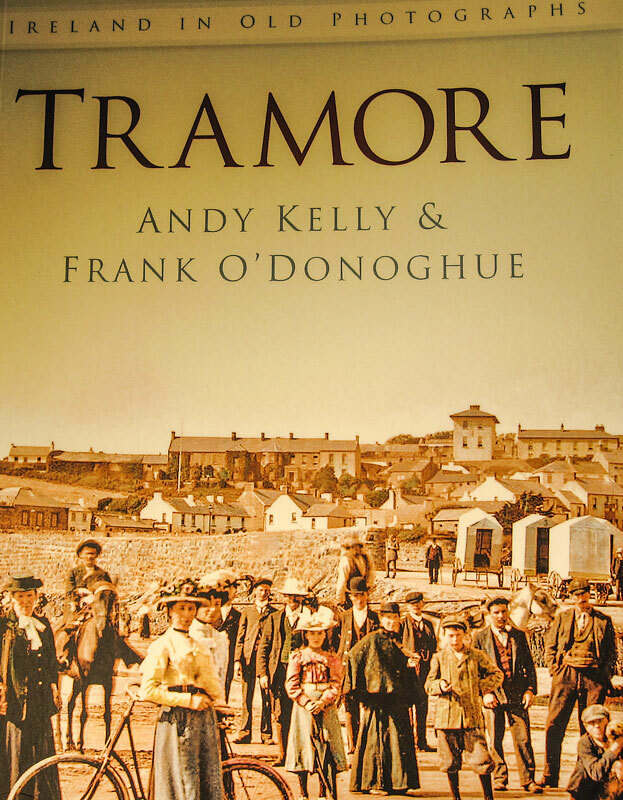 We were delighted to be asked by Frank O'Donoghue, one of the authors of Tramore in Old Photographs (Andy Kelly is the co-author), to sing at the launch of the book in Tramore Library. There are some wonderful photographs in the book, including a series on Shipwrecks. 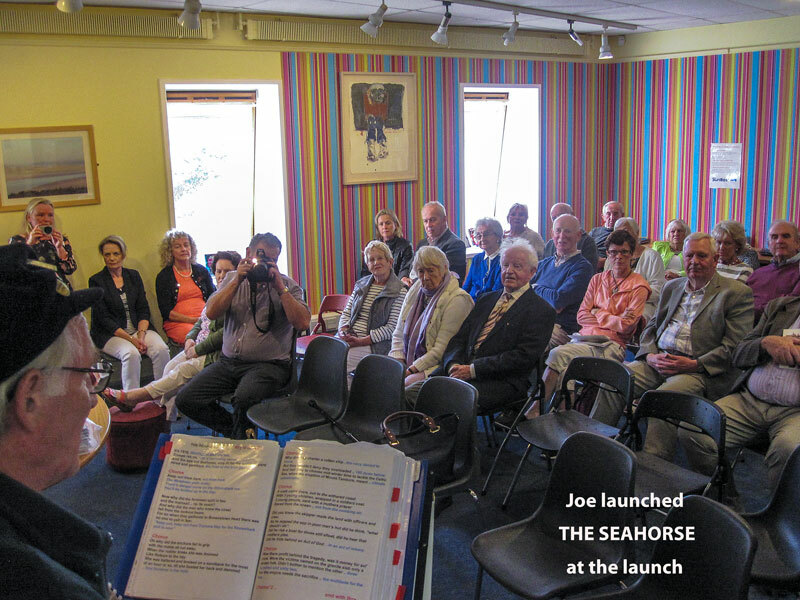 Joe was able to launch his own Seahorse song and it was an appropriate venue to do so. 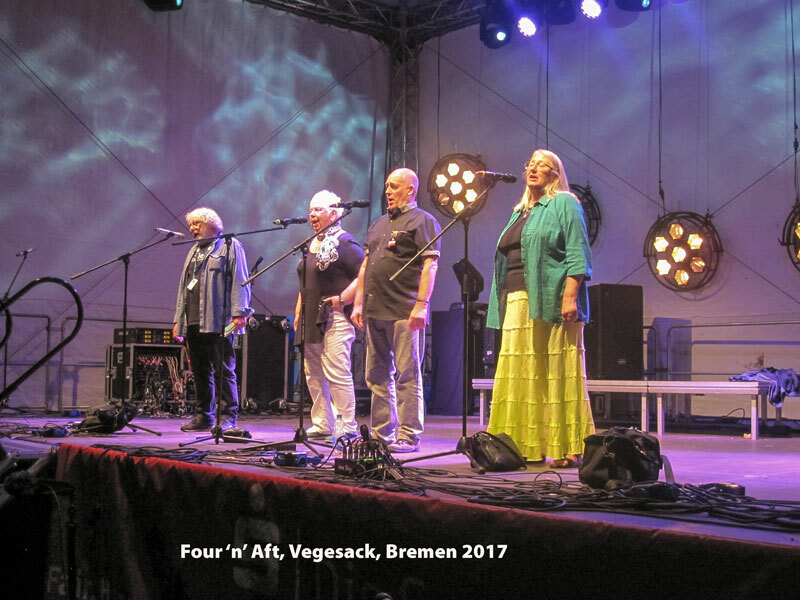 We left Waterford at 11am on Thursday 3rd August for a Ryanair flight to Bremen airport, where we were collected by taxi and delivered first to the Church where we would sing later and then to our hotel, Hotel Zur Fahre, on the far side of the Weser River. 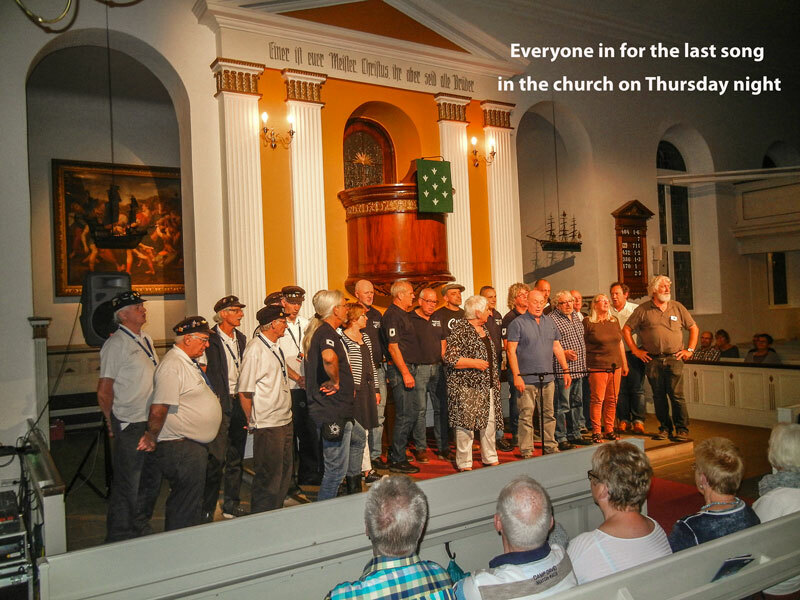 Later that night we performed at a church in Vegesack along with other acapella groups and that was special: the setting was lovely, and like most churches, the accoustics were wonderful. 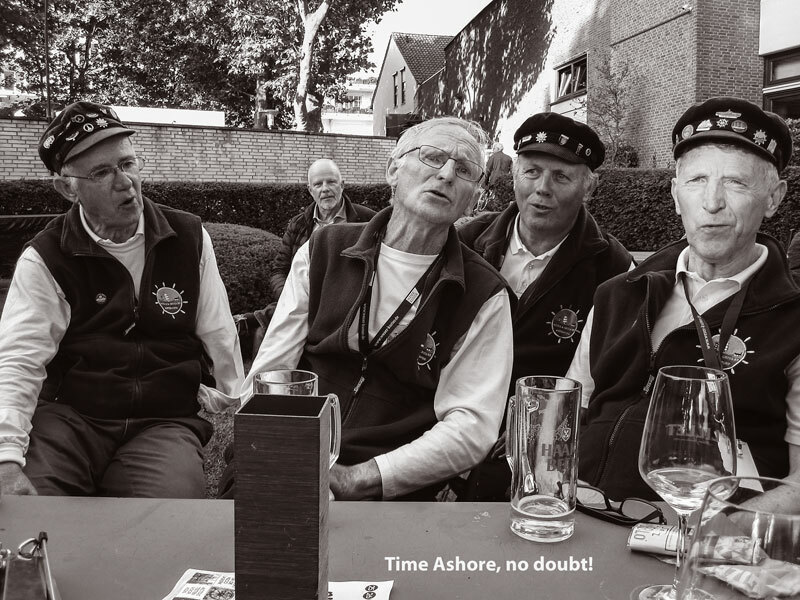 We adjourned then to a pub on the waterfront where there was a great sing-song and some lovely pints were had by all. 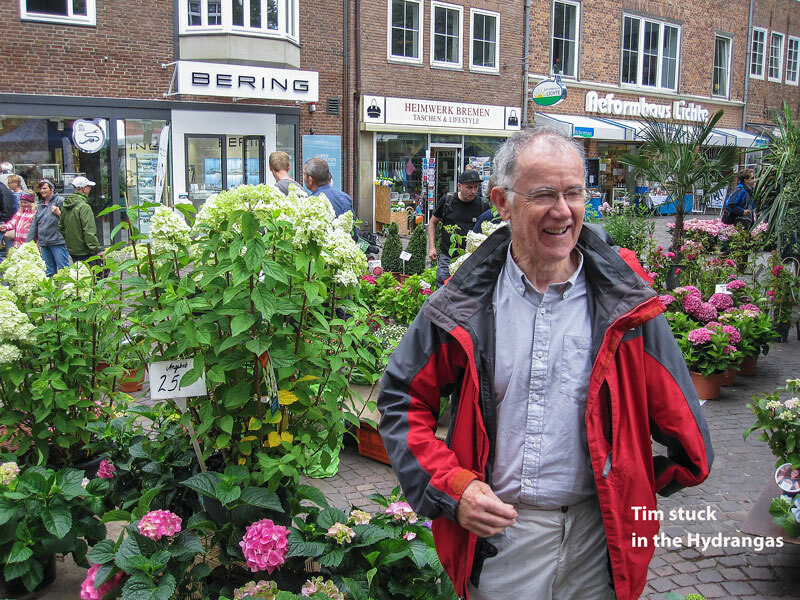 On Friday we went into Bremen and wandered around there for our sins. 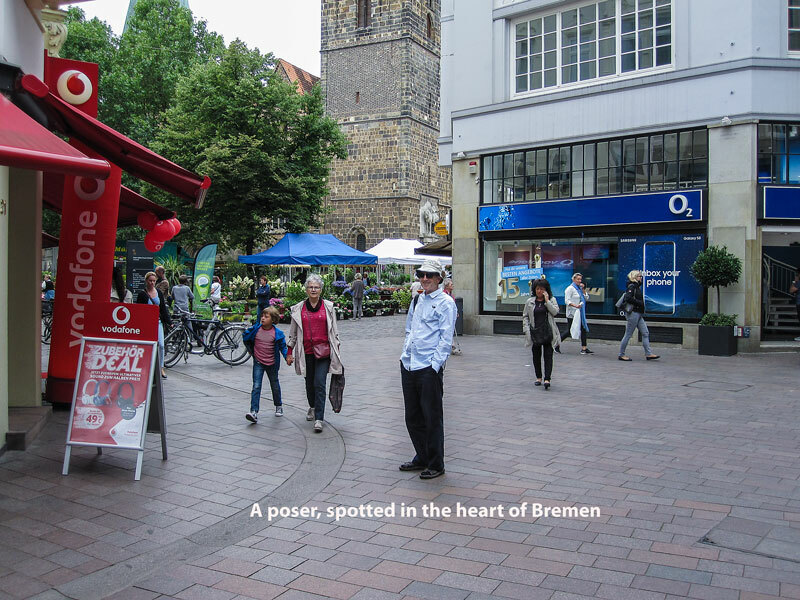 A lovely City, especially in the centre. 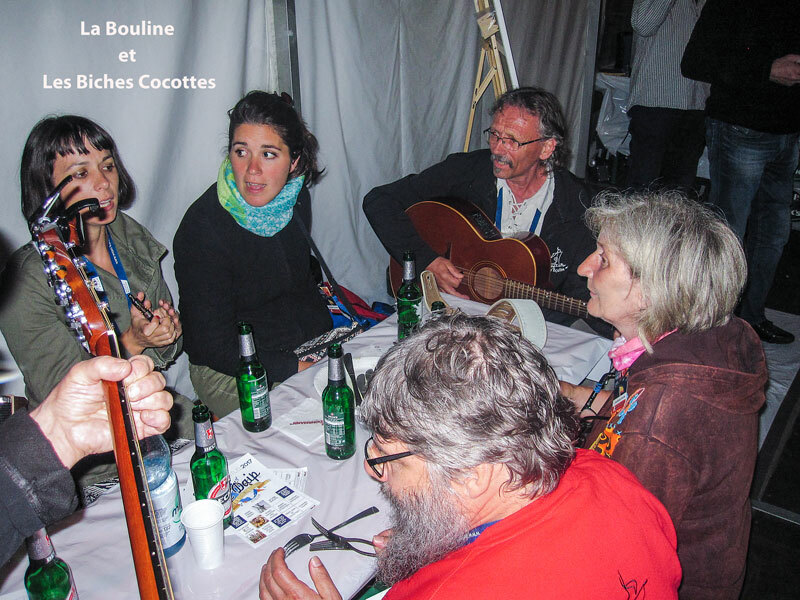 The official opening of the Festival was at 7pm, which we attended, and then the groups dispersed to various venues to sing. 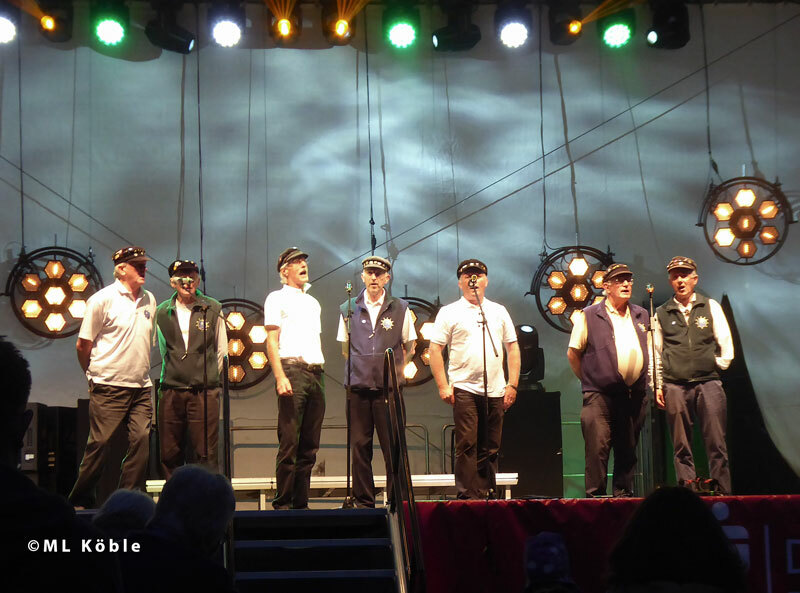 We were on the quayside and that performance went down well. 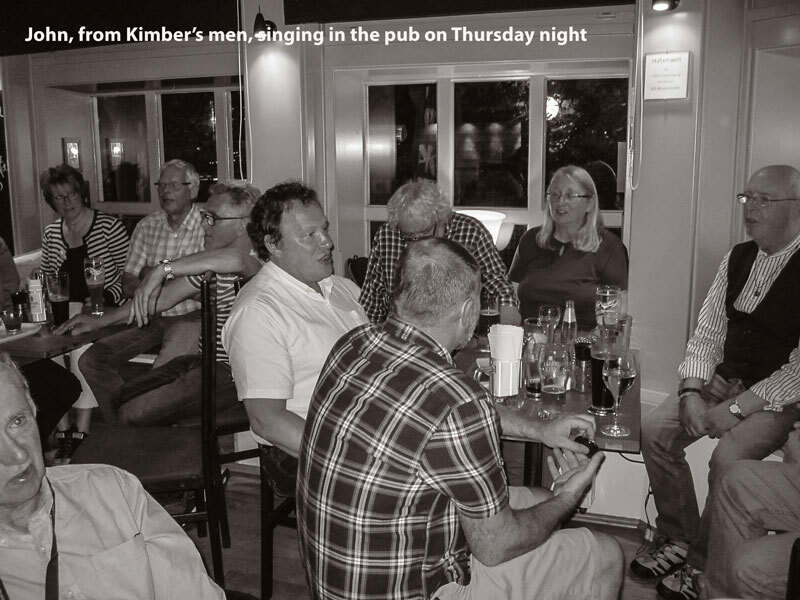 Another sing-song followed in the same pub as the previous and that too was special. 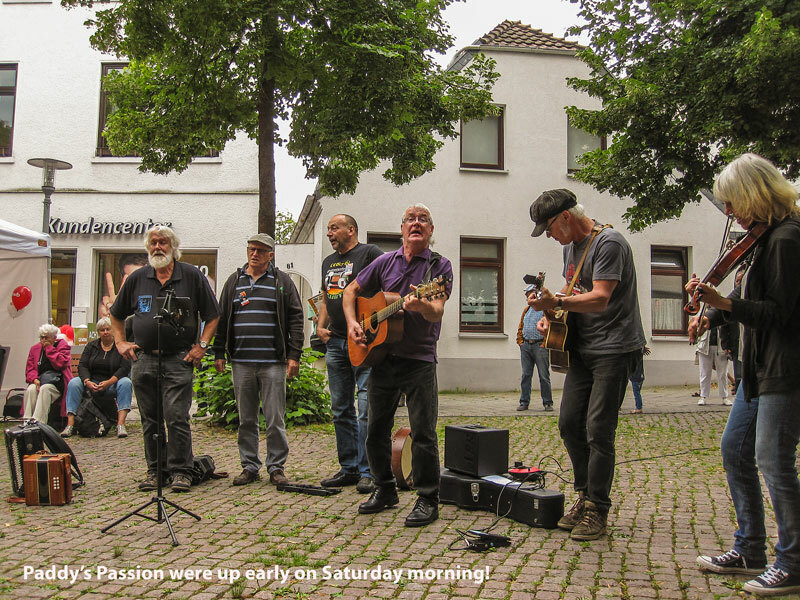 We had four performances in all on the Saturday, well spaced out, so that gave us ample opportunity and time to savour some of the music from the other groups as we moved between venues. 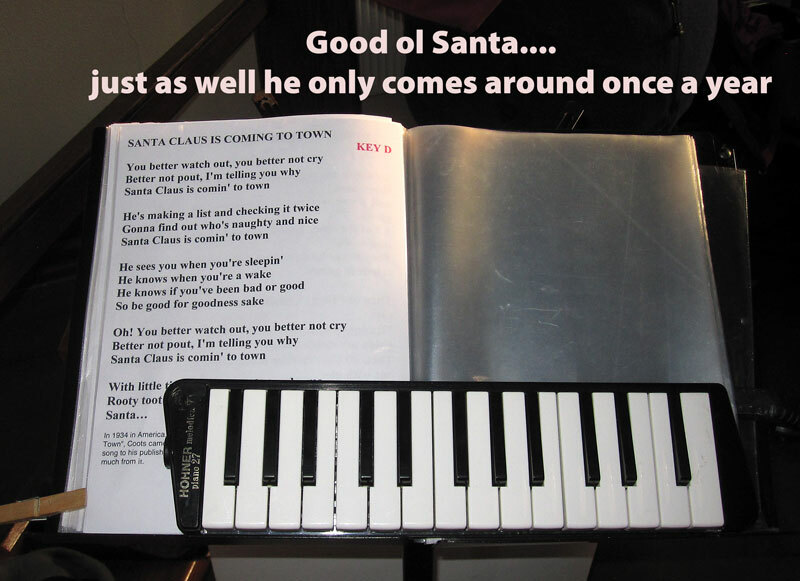 And there were some excellent performers and performances. 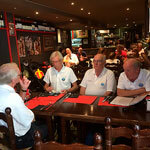 We also had a chance to meet members of other groups. 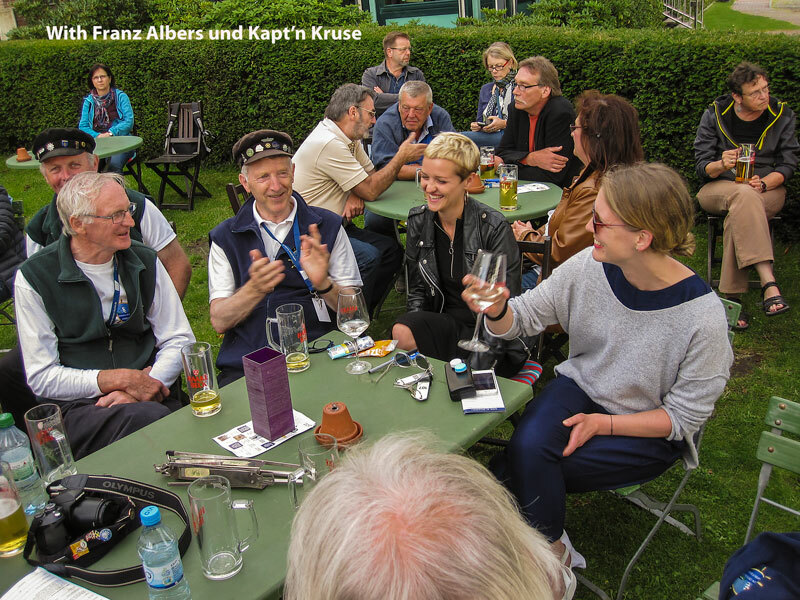 It was great to meet again with Paddy's Passion, Armstrong's Patent, Four 'n' Aft, De Kaapstander,Unicorn, Kimber's Men and to engage with new groups like Roaring Fifties, Tobermore, La Bouline and Franz Albers und Kapt'n Kruse. 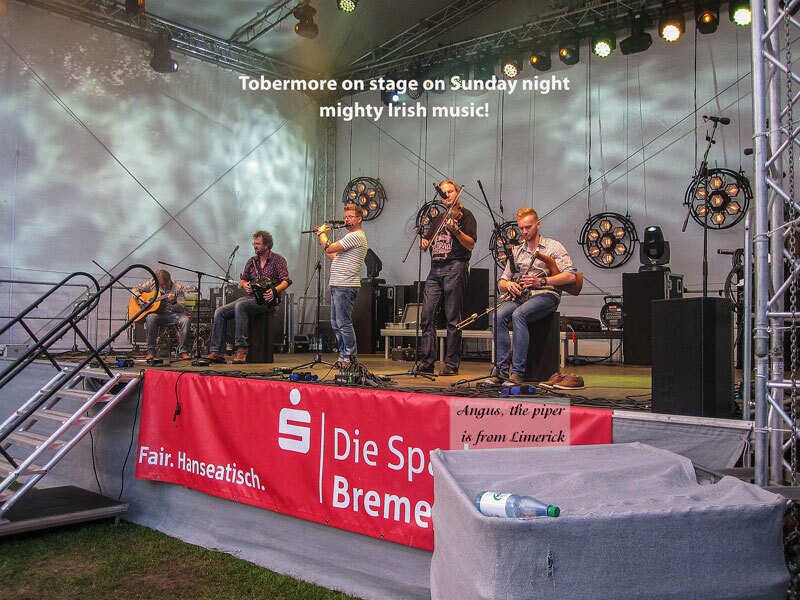 We met one Limerick man there, Angus, the uileann pipe and tin whistle player with Tobermore. 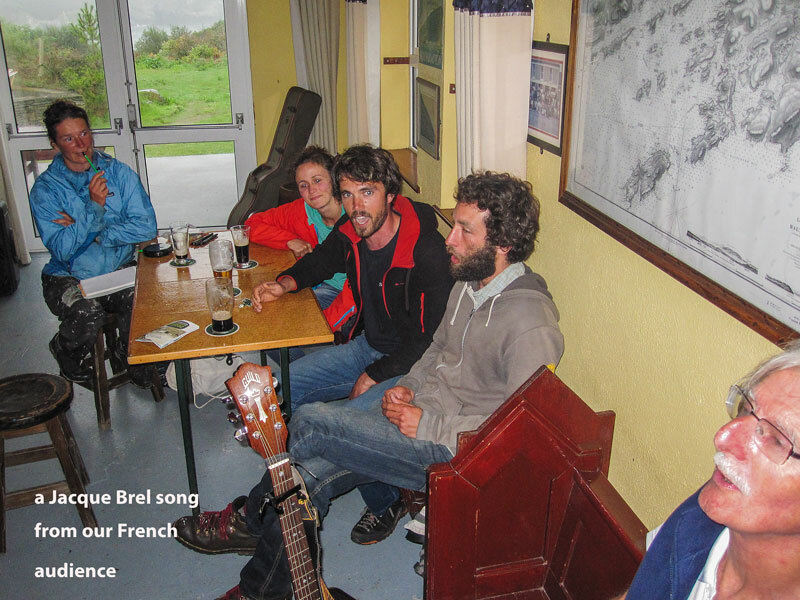 It was fantastic to have the craic with them all and share a song or two. 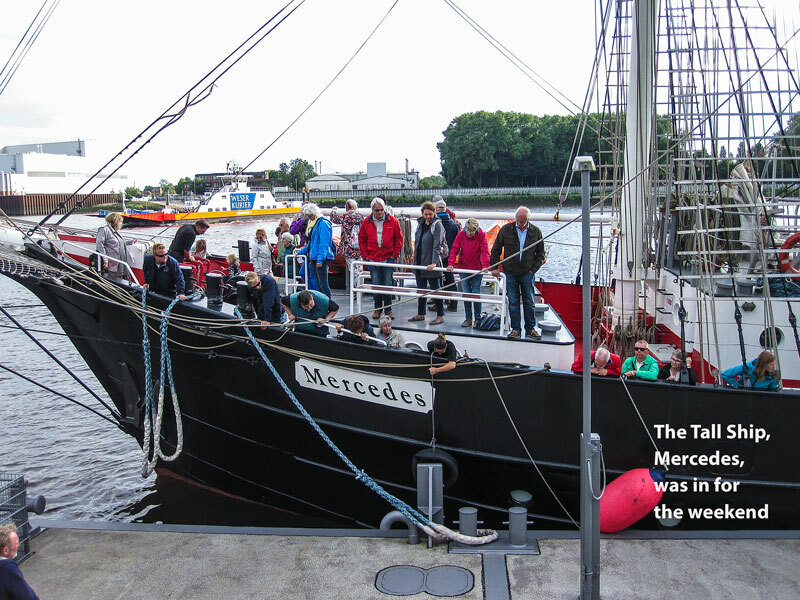 We were on two boats on Sunday: one was the ferry which operates continuously across the Weser River. 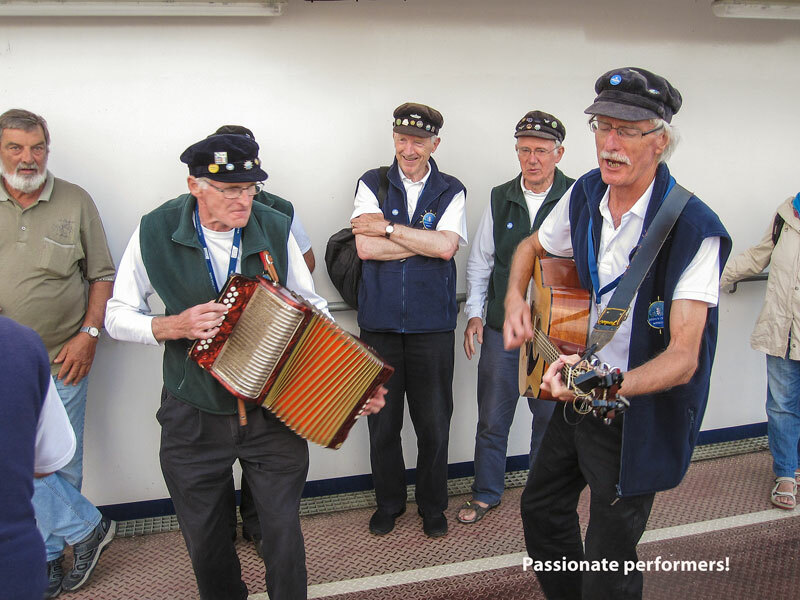 We sang a few lively songs and Joe & Frank played a few lively jigs and reels to entertain the people for an hour or so. 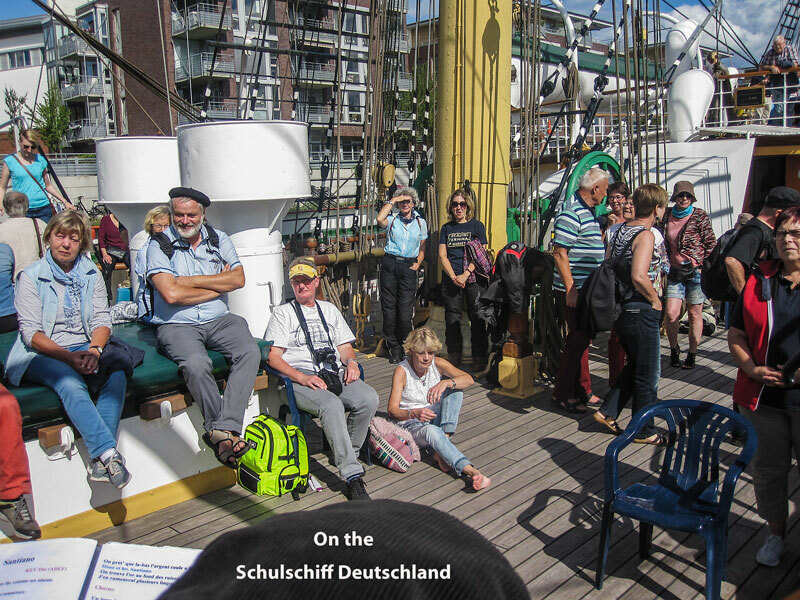 Later on we were on the tall ship Deutschland, now permanently moored on the quay. 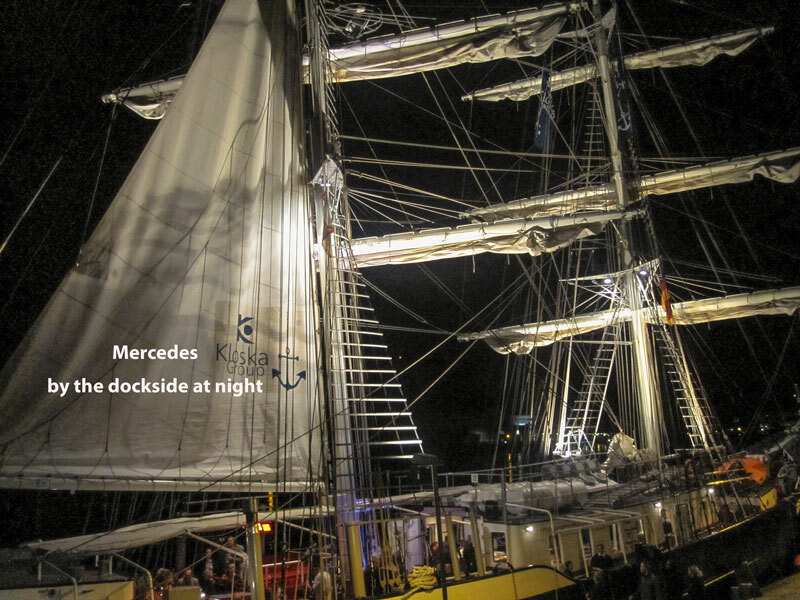 It is a beautiful ship with lovely lines and is so beautifully preserved. 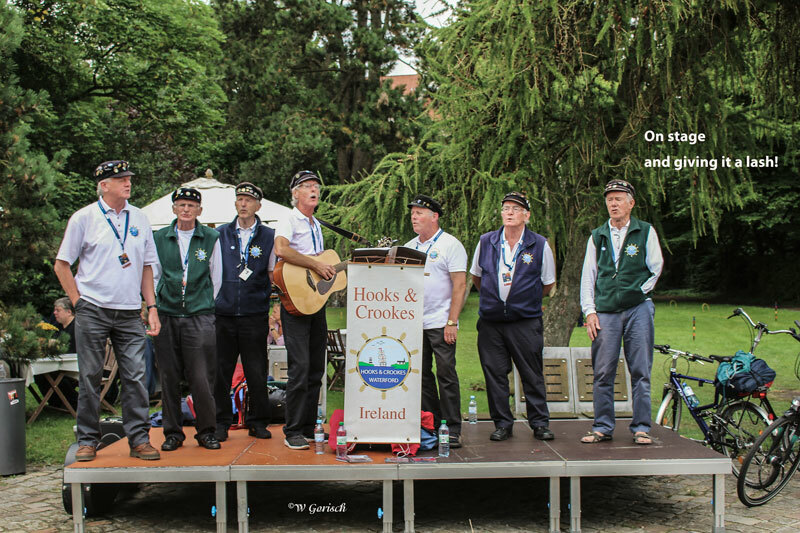 Later on that evening we perfomed at the Shanty Slam, with each group singing 3 songs (Song for Ireland, The Fields of Athenry and good ol' Molly Malone), followed by a communal rendition of three hearty shanties where everyone joined in. That was followed by a dazzling fireworks display. 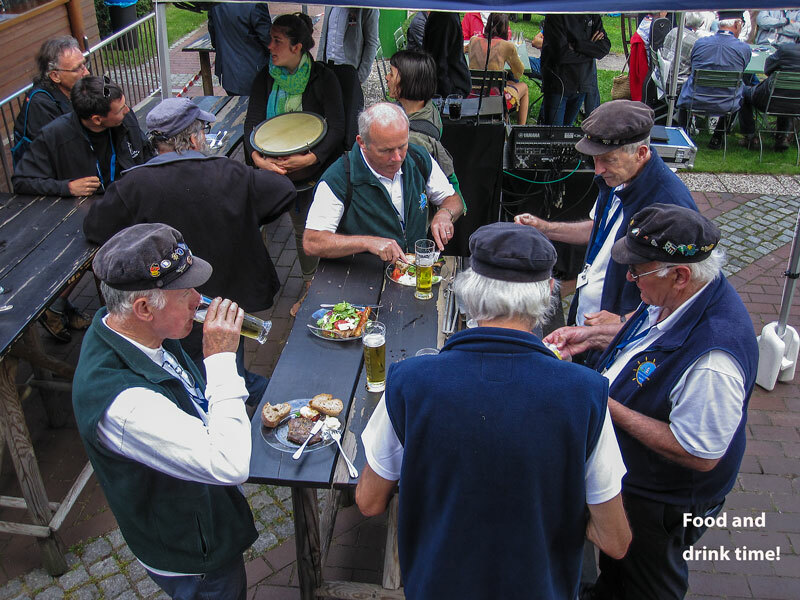 More food and dwink followed, but because we had an early start the following morning (6 o'clock) to catch an 11 o'clock flight from Hamburg, we were a wee bit subdued as we had to leave early: we were also tired and more or less voiceless after a wonderful weekend of music and song. 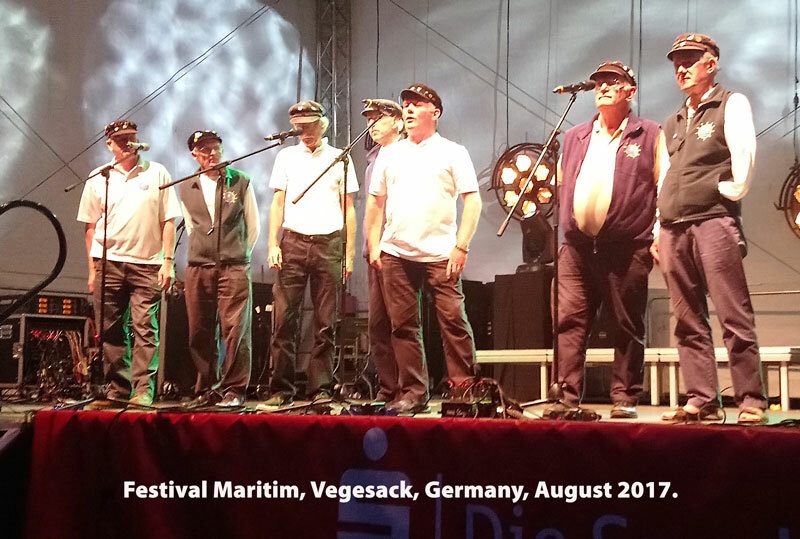 Thank you Fritz and all the team at Vegesack Festival Maritim. 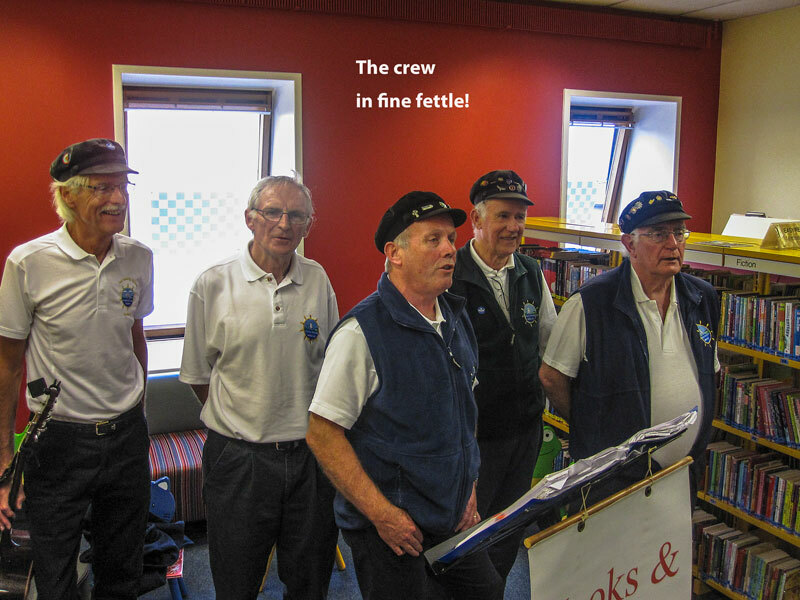 Mon 12 June: We were asked to perform at the Ardkeen library to celebrate the 15 year operation of the library at Ardkeen. 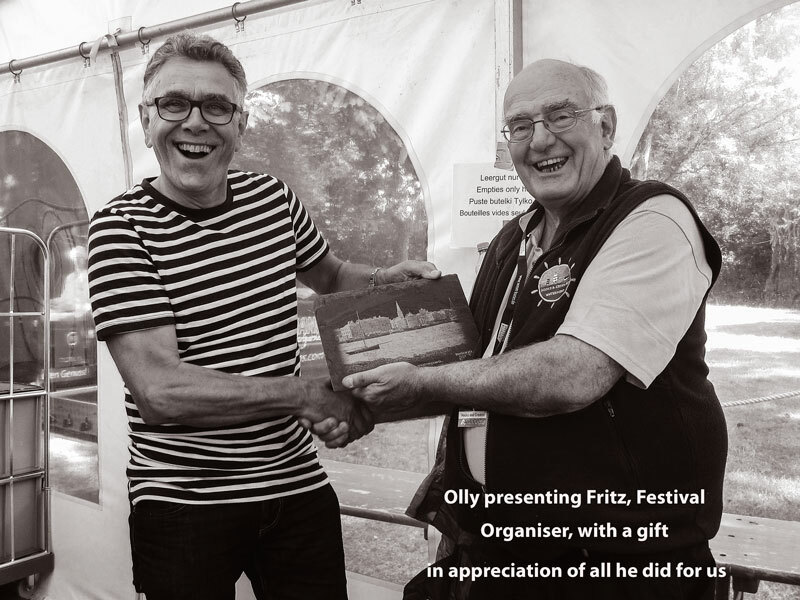 This was a lovely event and a pleasure to do. 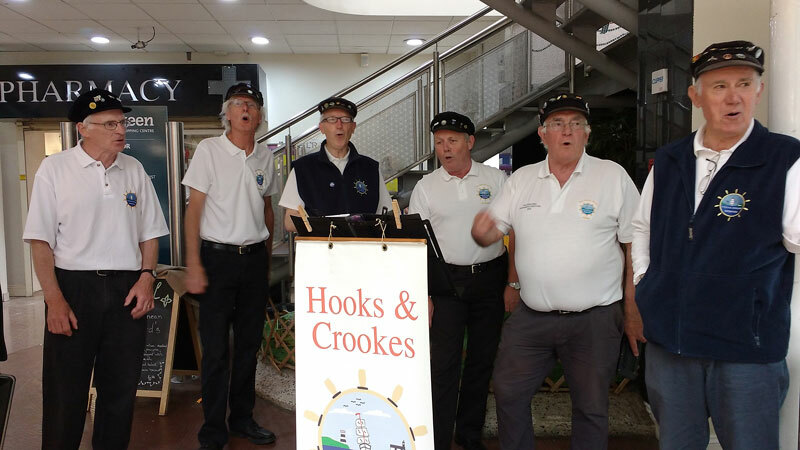 We first off performed at the entrance to Ardkeen Shopping centre and set the scene. 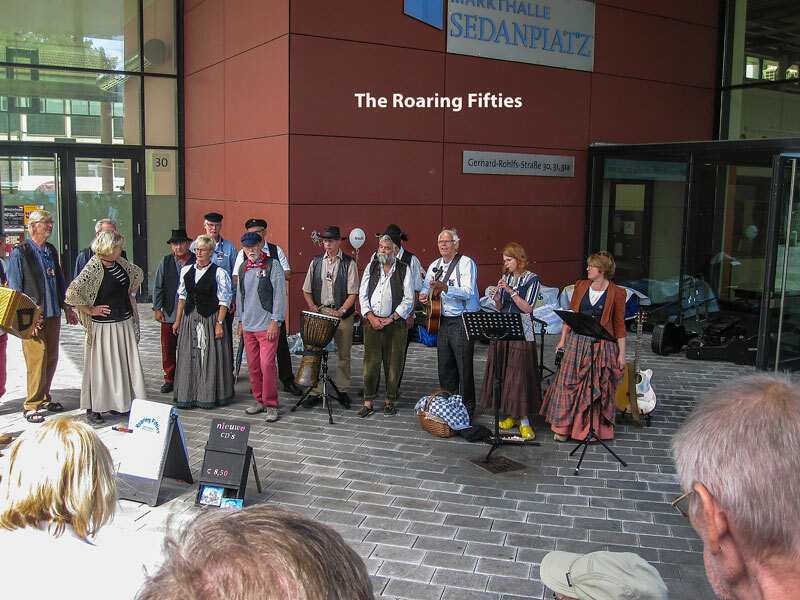 We then sang as we walked up the stairs into the Library, where we performed a set at the top end of the library to a very appreciative audience. 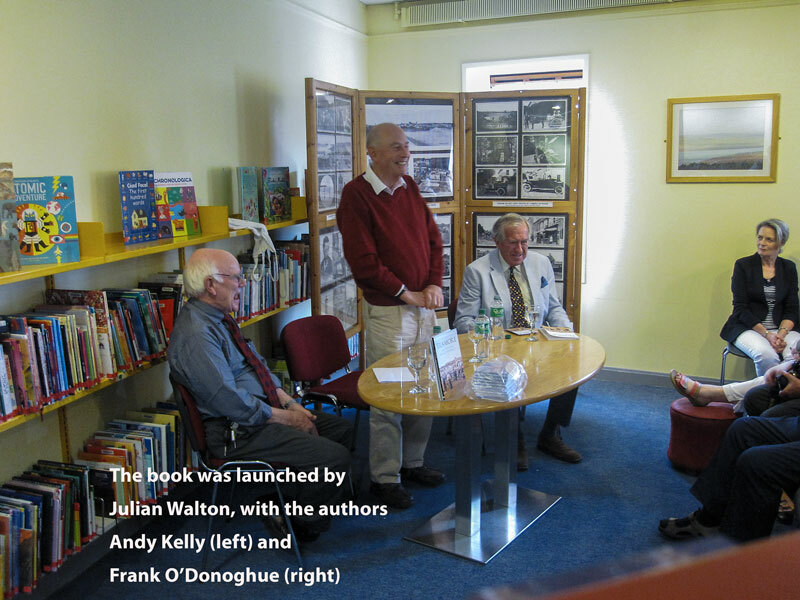 The County Mayor, Mr Aherne, was in attendance as were the senior management of the Waterford Library service. 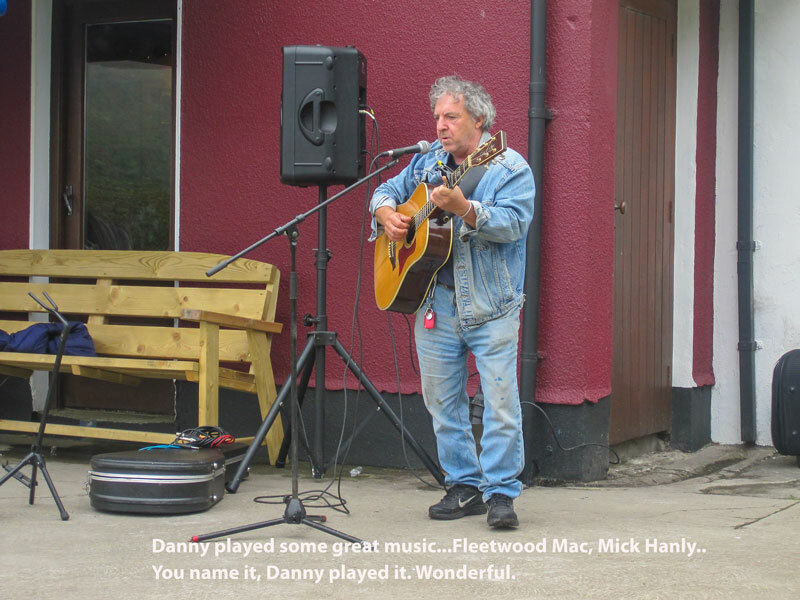 After a few appropriate speeches we again performed a set and were then fed tea/coffee and buns along with a special cake to celebrate the event. 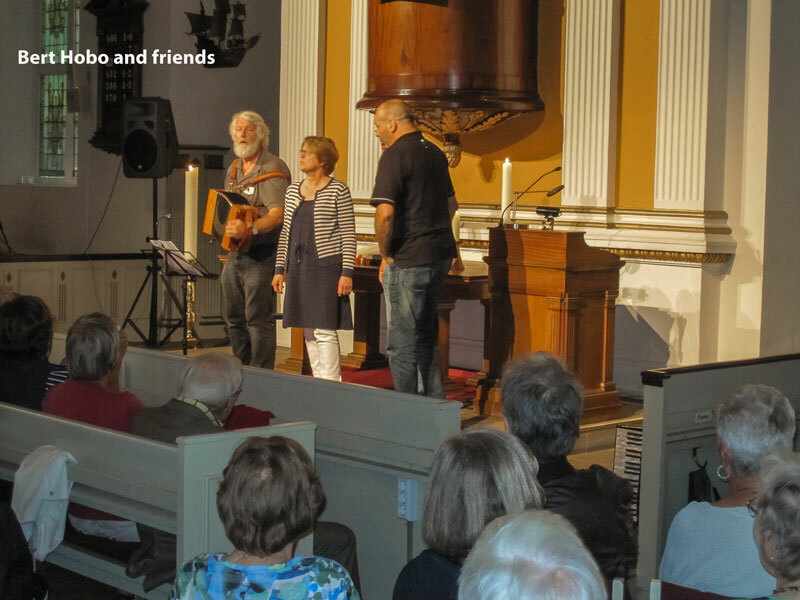 A lovely gig for us in “our own ‘back yard’ – a special thanks to Tracey McEneaney of the City Library for the invite and organization. 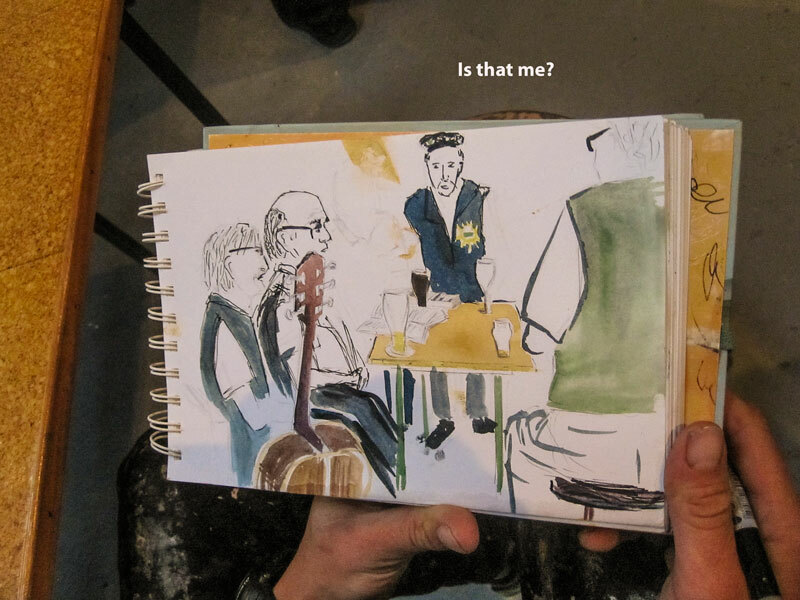 Thur 4 May: This was an interesting gig for us. Only 4 of us could make it, however we performed well and provided what the organizers were seeking - something Different!! 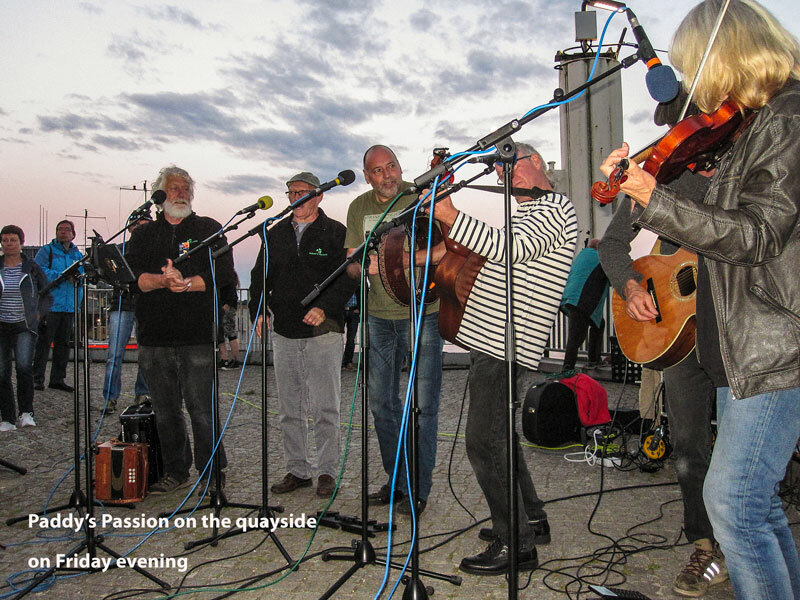 We had excellent amplification and pick up and performed on the Quayside behind the Harbour Masters Offices. The event was a two day Seminar and Training for emergency services providers with the special theme being Water Related Services. 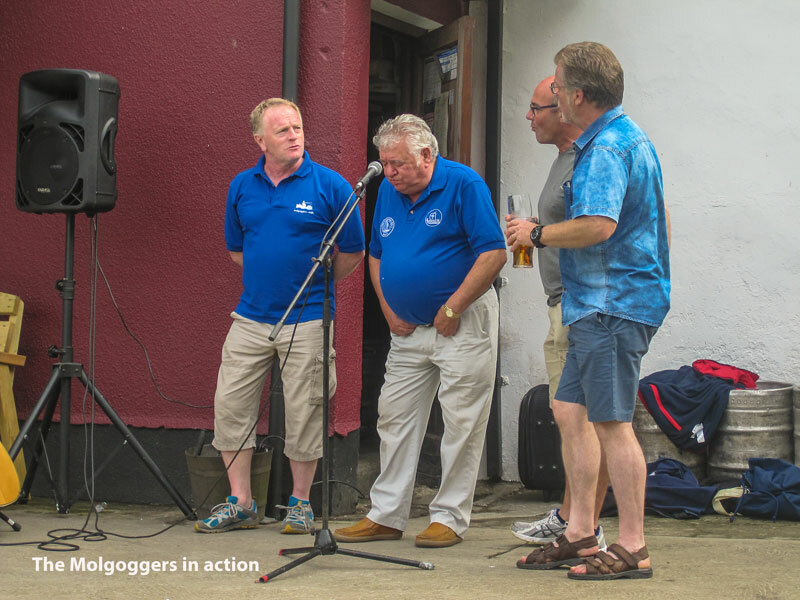 Our sets were appreciated well and we were included in a wonderful BBQ held in the Kinsale Sailing club. 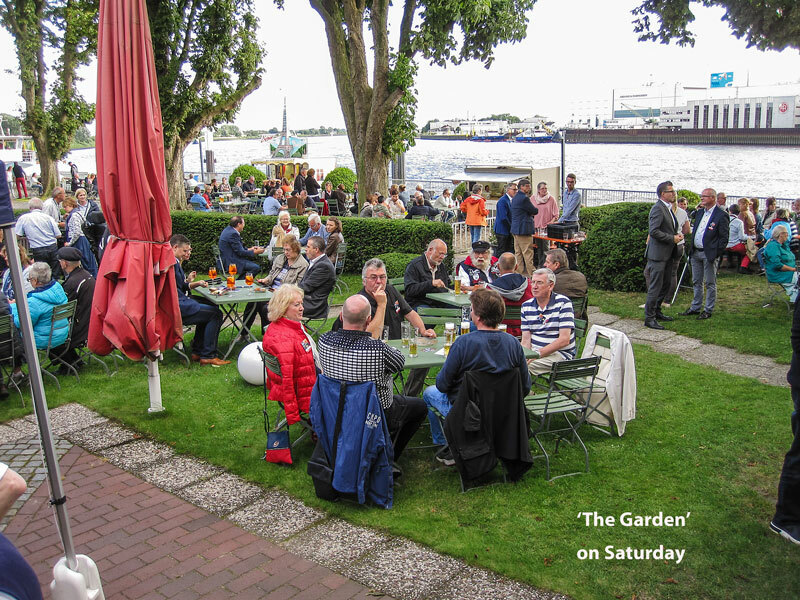 The scheduled quartet of jazz music were excellent but played on for a good hour and over their anticipated set, so we sang a few songs on the verandah to the groups outside and left for home. 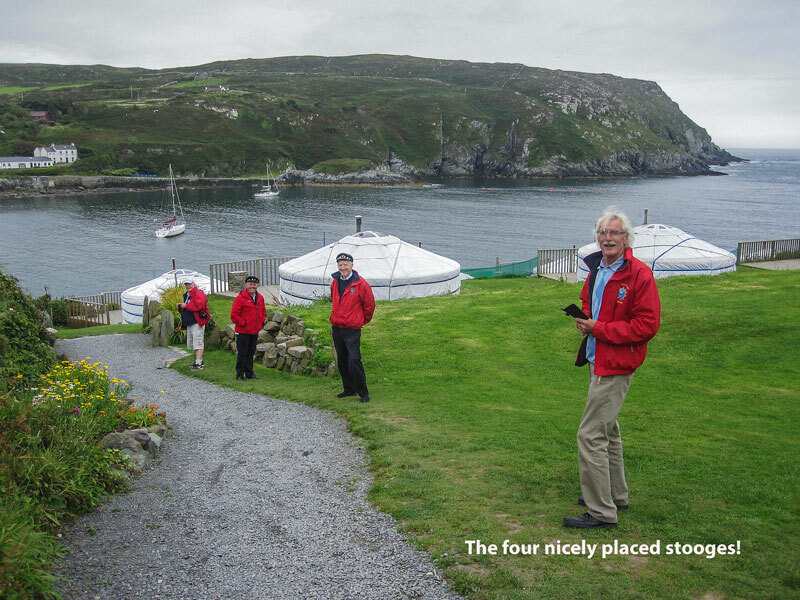 A good days outing and satisfied customers !! 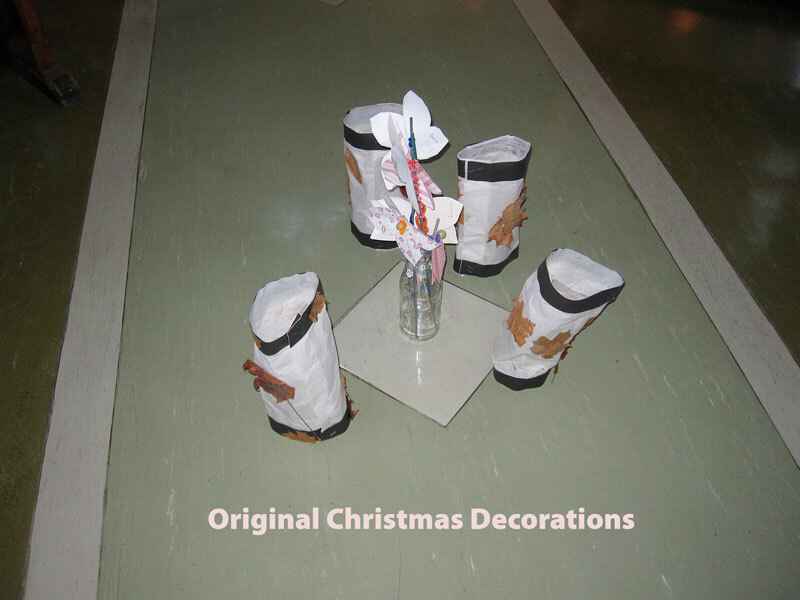 The four performers were Joe, Frank, Shay and Olly and even though reduced in numbers the balance worked very well. Sat 29 April: The annual Shanty Fest in the Rosslare Hotel was another successful evening for the newly formatted Hooks and Crookes with good amplification and guitar pick up allowing a great rendition of ‘Across the Western Ocean’ to be launched and of course the ‘Seahorse’ .The Southend Shantymen performed first and they have greatly improved over previous years with lovely harmonies and a great sound. 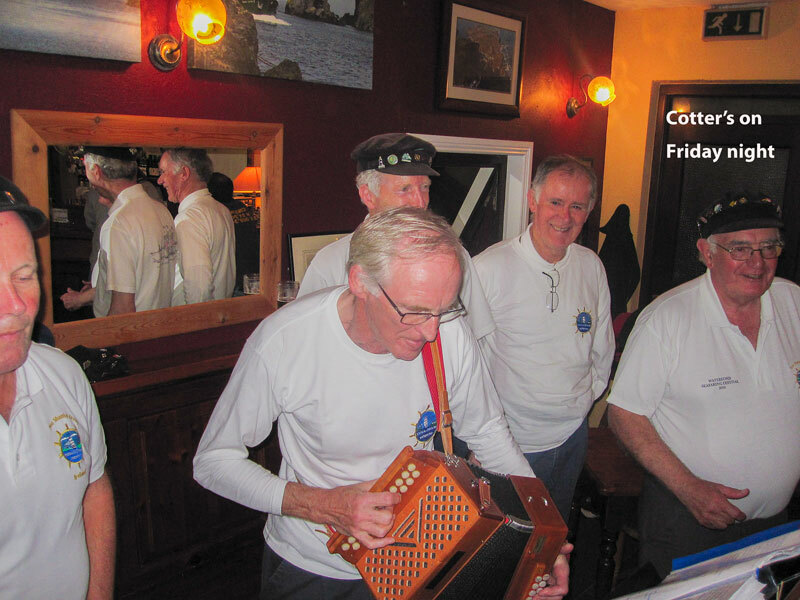 George Jeffers from the The Mulgoggers was on his own and added a lovely flavor of traditional and ribald shanty renditions and of course Tom Mullane did a solo run as did Eoghan Dunphy both of which were top drawer performances as usual and the evening was rounded off by the great supporters from across the water, Vagrants Crew followed by the mass assembly singing of ‘John Kanaka’ with many more verses than Tim normally uses !!! 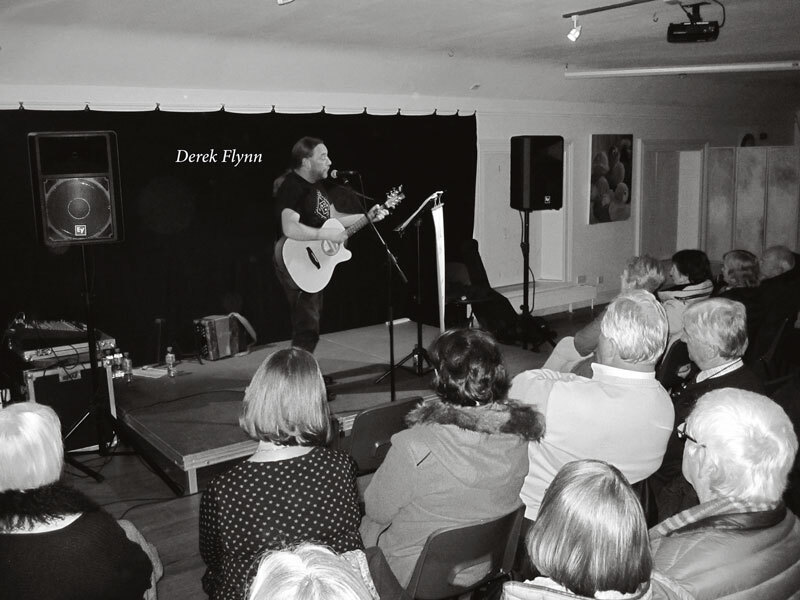 Sat 22 April: Performance at the West Waterford Festival of Food. 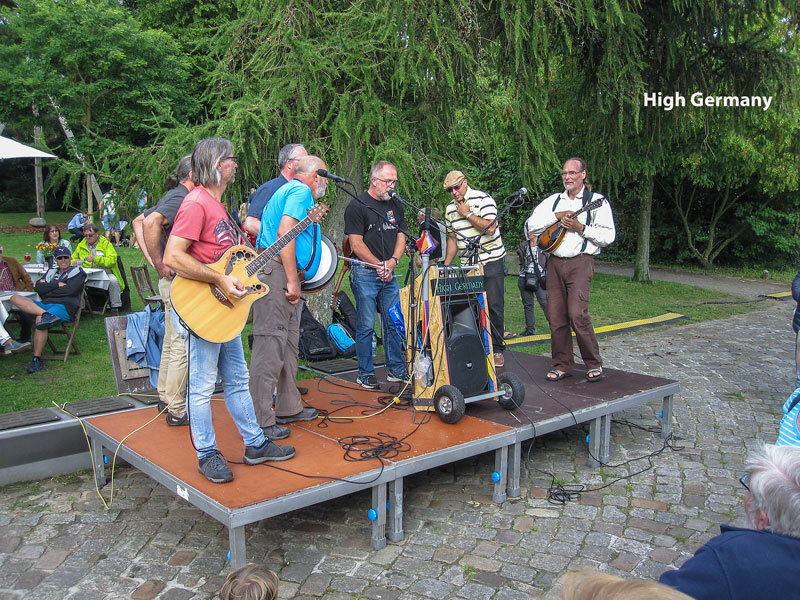 We had good amplification and a guitar pick up which allowed our selection to be heard over some distance. The set was greatly appreciated and commented upon as the new sound of Hooks and Crookes, which was said to be exciting. 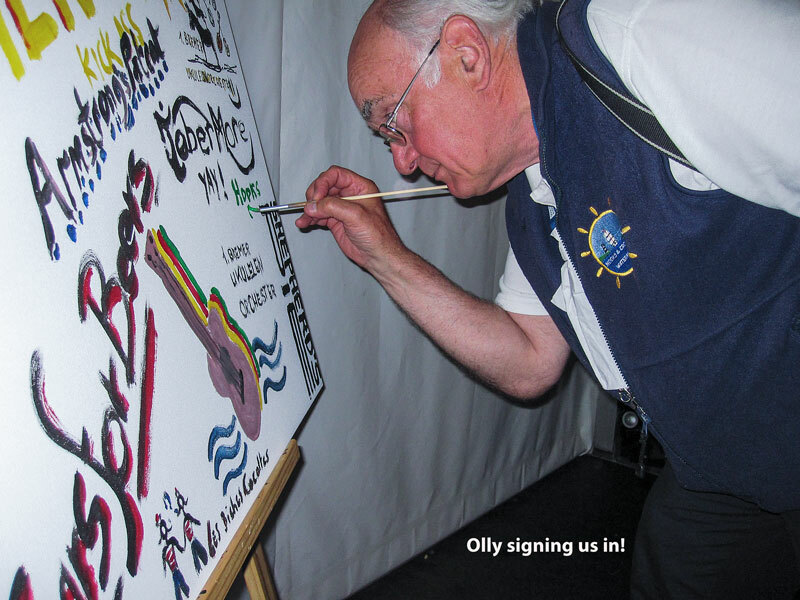 This led to a request to attend Kinsale for an event two weeks later. 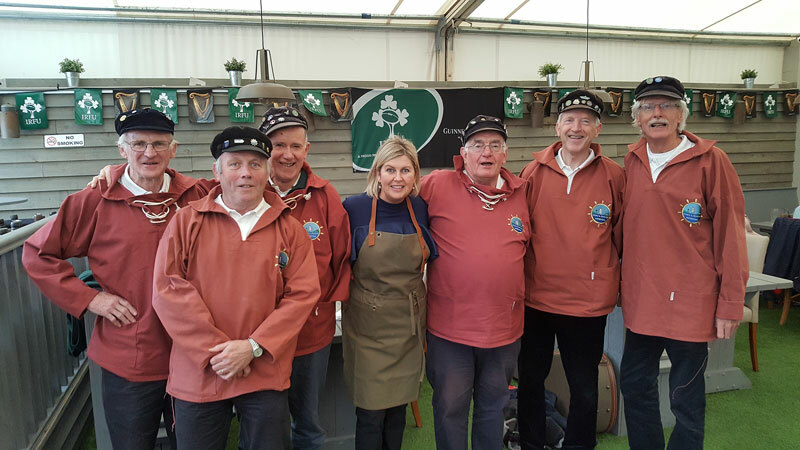 We adjourned to the Moorings for a superb steak lunch and pint provided by Marie Quin our Dungarvan ‘hostess with the mostest’ and enjoyed the rugby on TV in the smoking area at the rear. We were joined by Joe’s friend, Linda (a work colleague from his China days) for lunch and the match and had our annual photograph with Marie and sang ‘Leave her Johnny’ to the customers as we departed fully replete. April 3: We were booked into the Youth Reach facility in the Manor for a recording session with Frank Comerford in attendance to oversee quality etc. Unbelievably we recorded 21 songs in one session. Not all were reproduction quality but we did achieve 14 for our new CD. A special thank you to Shay McGrath for arranging the facility and to the staff at Youth Reach for their support and their hospitality. 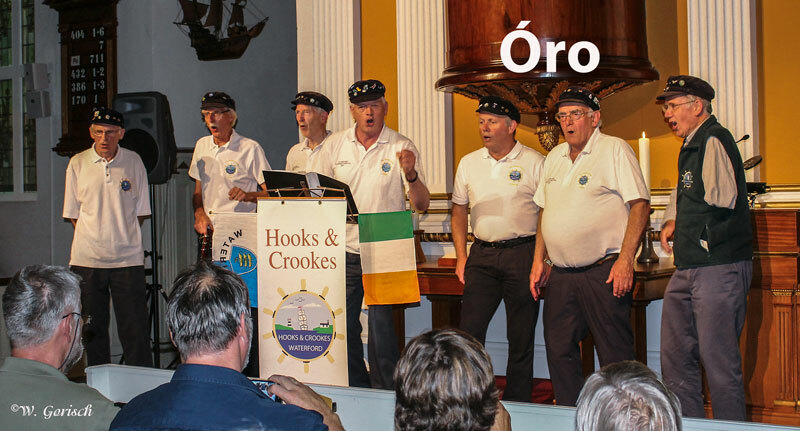 Mon 20 March: We were invited to Dungarvan to perform a few songs at the Press Launch of the West Waterford Festival of Food which was held in the Sailing Club on the Quays. 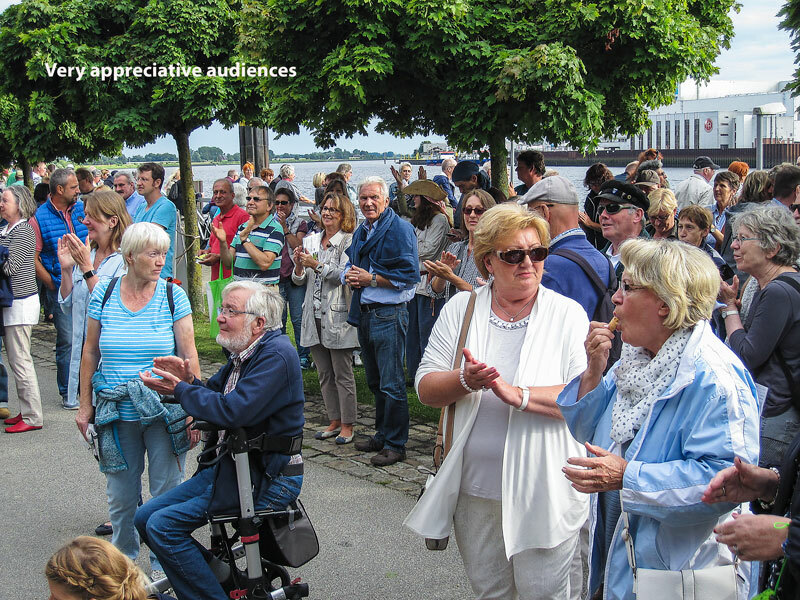 A large crowd in attendance appreciated the first public rendition of the ‘Seahorse’ and a number of other shanties . 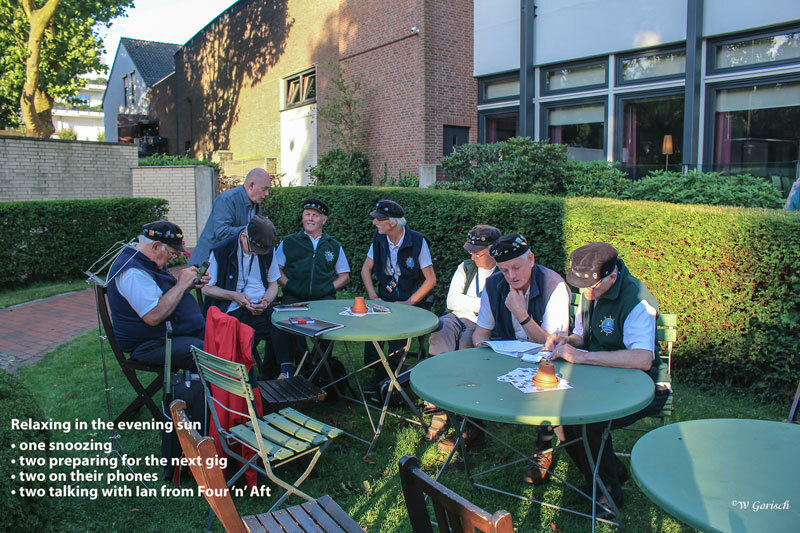 As this was our first public outing in the new format there were a few lessons learned however, we gave a good account of ourselves and the committee were pleased with the added PR affect.